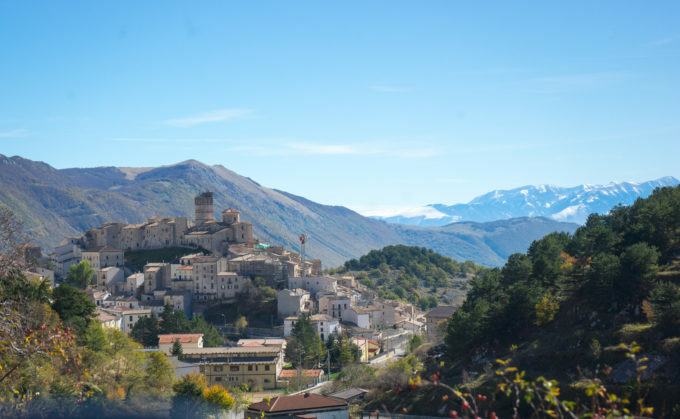 Abruzzo is the most unexpected region we have visited to date. 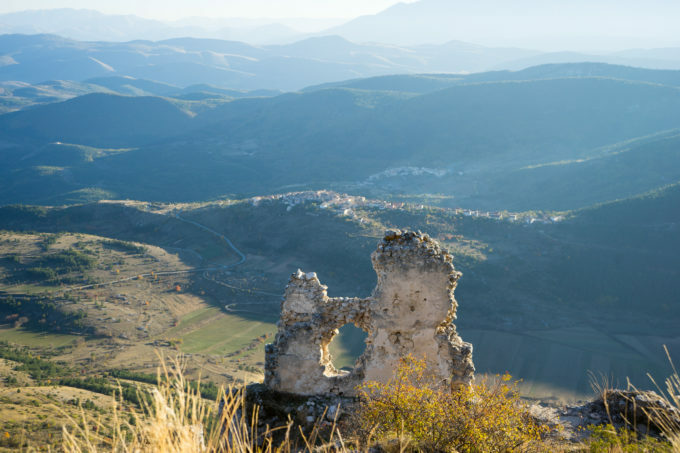 The dramatic landscape, the forlorn hilltop towns with their maze-like centres, the warmth of the people and the rustic comfort food make it a region we will be back to visit again soon. 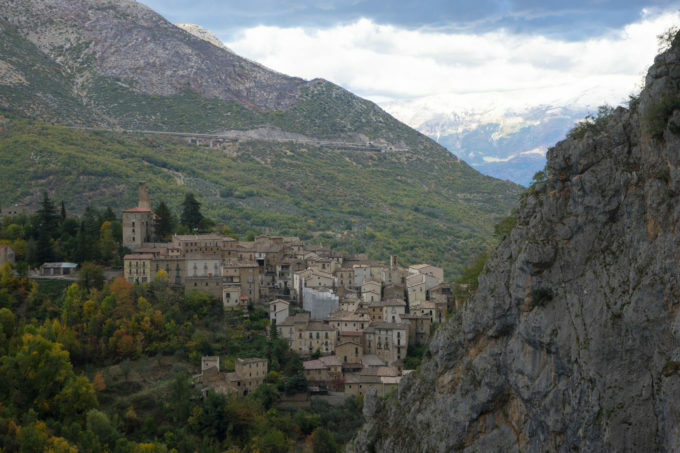 Despite being about a ninety minute drive from Rome, Abruzzo does not make it on most people’s lists of places to visit. 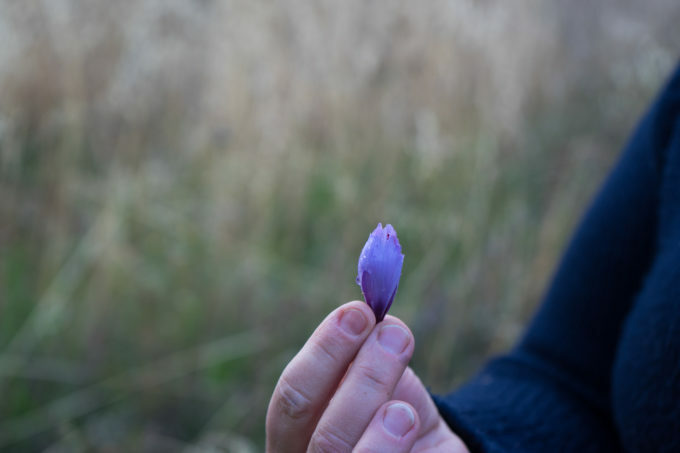 It had always been on my radar and when were invited to pick saffron during the children’s holiday from school last October, I could not refuse. We were not disappointed. We stayed in Rome for 2 days and then drove over to Abruzzo, stopping just over the border in Carsoli at L’Angolo d’Abruzzo for platters of local salumi, homemade pastas made from ancient grains and grilled pork, scamorza cheese, lamb, veal and beef accompanied by roasted porcini mushrooms and deep-fried battered courgette/zucchini flowers stuffed with burrata cheese and anchovies. It was a triumph of a countryside lunch and an impressive introduction to the region. 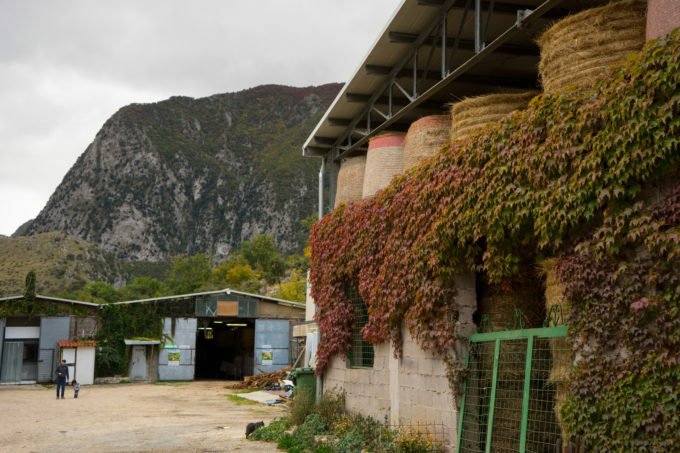 We went to Anversa degli Abruzzi to stay at Porta dei Parchi, an organic agriturismo (holiday farm) that uses sustainable energy sources to make cheese and salami. 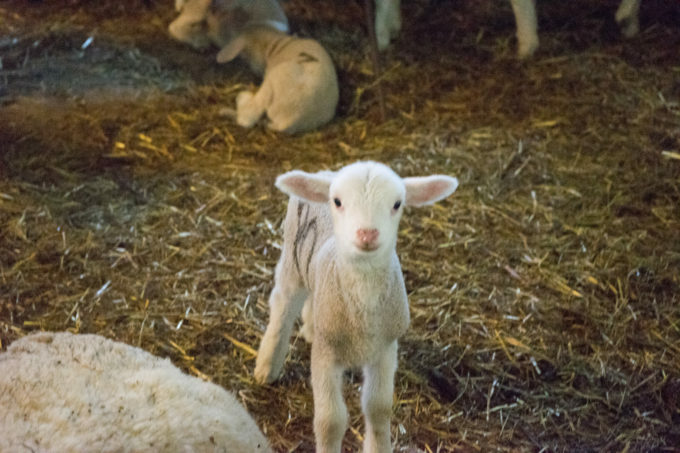 We arrived in time for lambs to be born and my children were astonished by how quickly the number of adorable lambs multiplied during our stay. 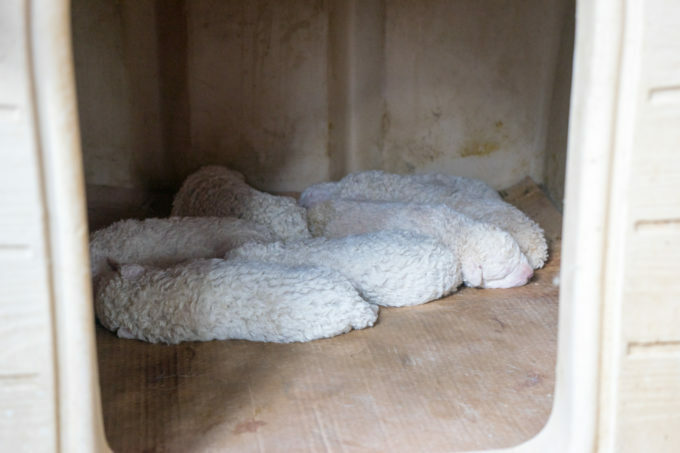 There were also pigs, ducks, chickens, donkeys, goats and innumerable kittens and Abruzzese mastif puppies. 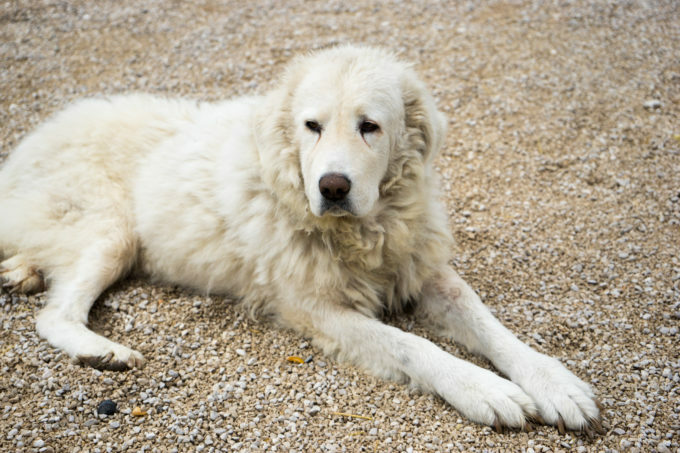 These dogs are typical throughout Abruzzo as they are the traditional shepherd dog, excellent at guarding livestock. 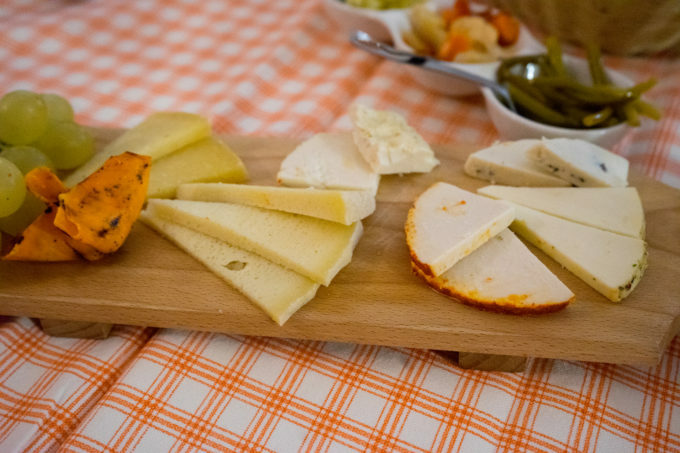 For dinner that night we were presented with platters of homemade cheeses (smoked ricotta – with juniper, with tomato and chilli, with black truffle, with herbs and with garlic and onion, semi-mature pecorino cheese, mature pecorino cheese) and salumi (liver sausage, lamb sausage and prosciutto). 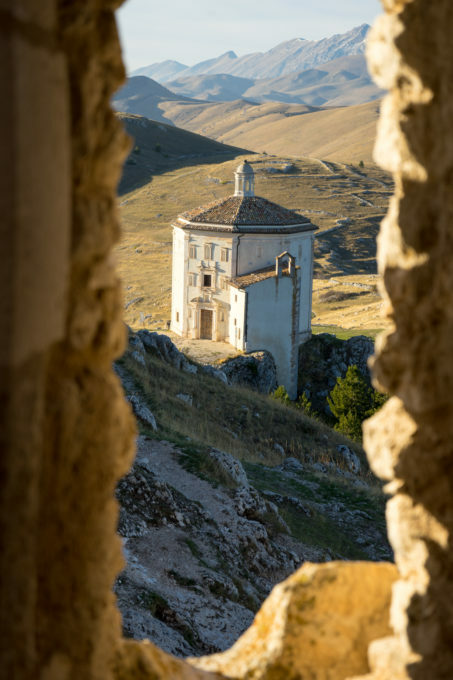 Very near to Anversa d’Abruzzo is Sulmona, a Baroque town synonymous in many Italian’s minds with sugar coated almonds known as confetti given at weddings and as the birthplace of the Roman poet, Ovid. 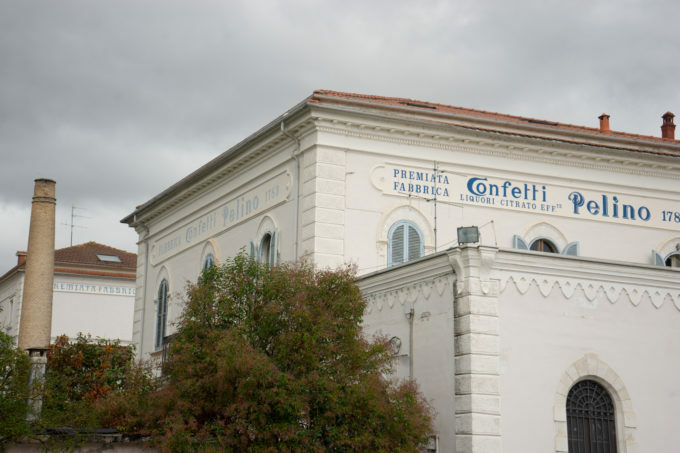 The most famous of the confetti producers is Pelino whose factory and museum we visited. 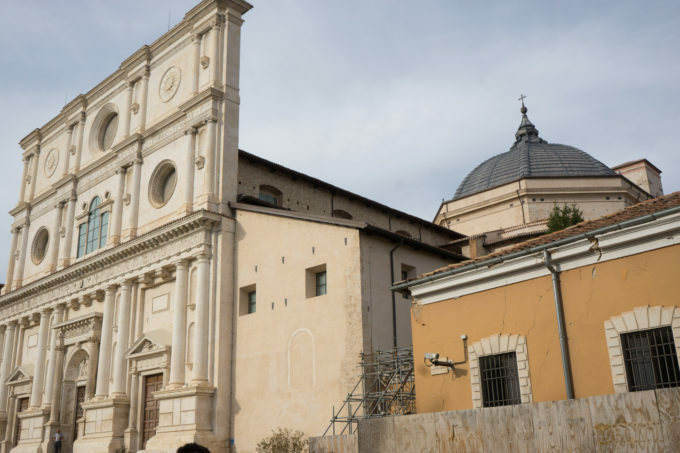 Confetti were first created at the end of the 15th century by the nuns at the Santa Chiara convent. They have a permanent presence at weddings as it is said the bitter almonds and the sweet sugar are representative of the ups and downs of marriage. 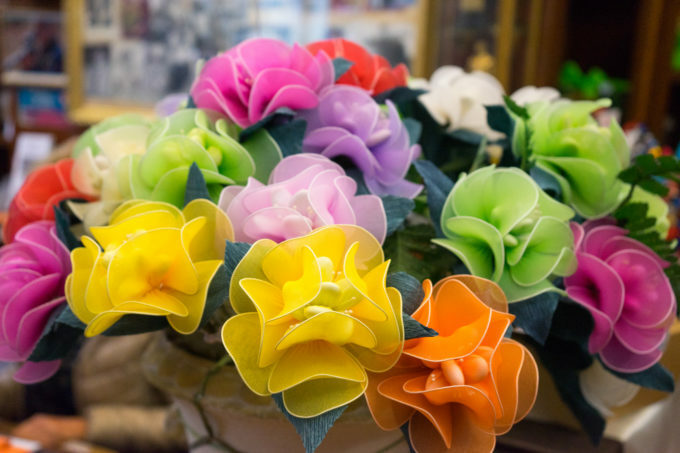 At Pelino, they come in an astounding array of coloured flower bouquets and even adorable figurines for the children. Many are works of art in their own right. 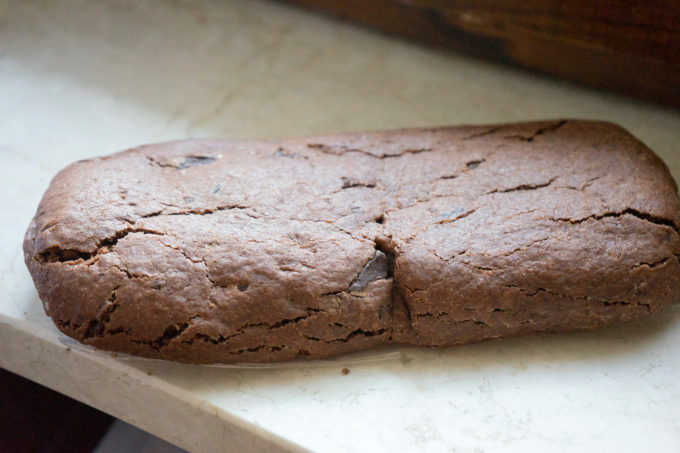 They can be made with almonds, hazelnuts, chocolate and/or candied fruit. 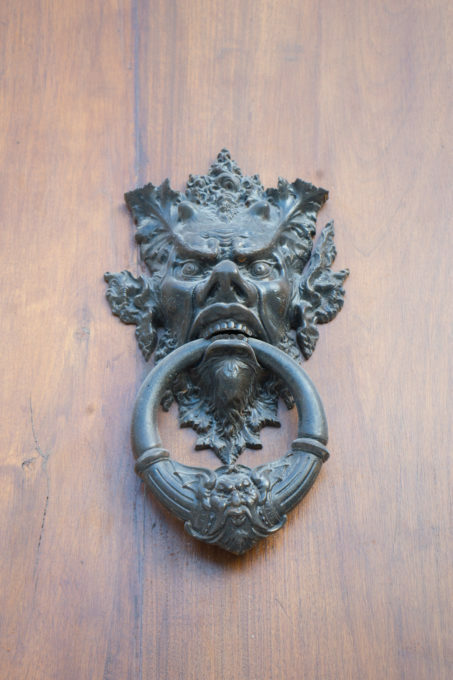 While in Sulmona, its worth stopping at the Palazzo de”Annunziata to see four centuries of Sulmonese art. 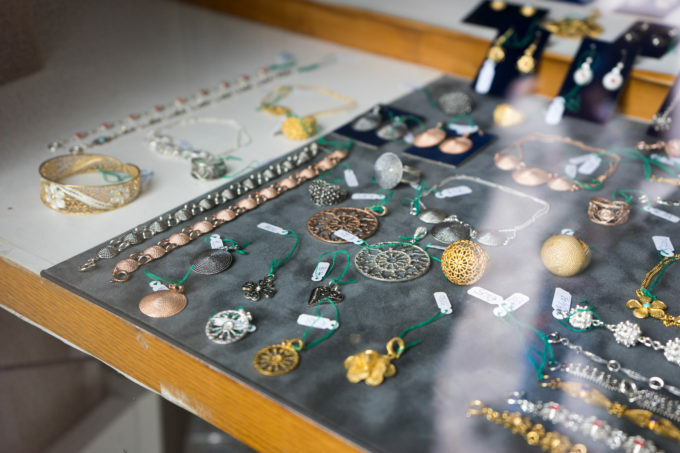 On Tuesday mornings there is also a food market in the historic centre of town. 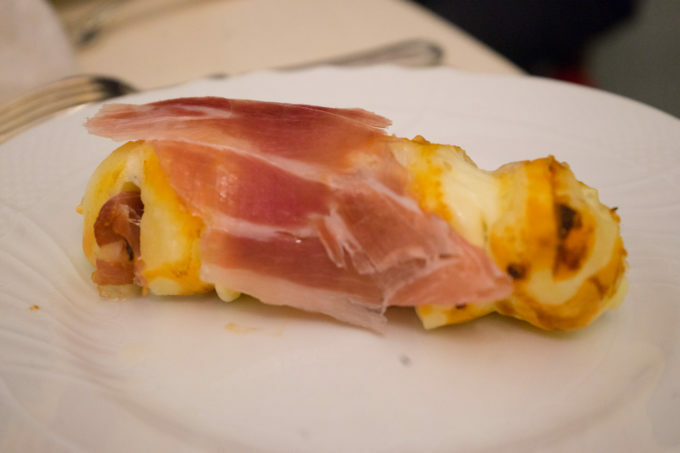 The cuisine of inland Abruzzo is focused on a sort of pastoral cuisine with their local cheeses such as scamorza, Canestrato, caciocavallo, Caciofiore and ricotta and local salumi such as salami, sausages, prosciutto and Mortadella di Campotosto (easily identified by its core of pure white lard). 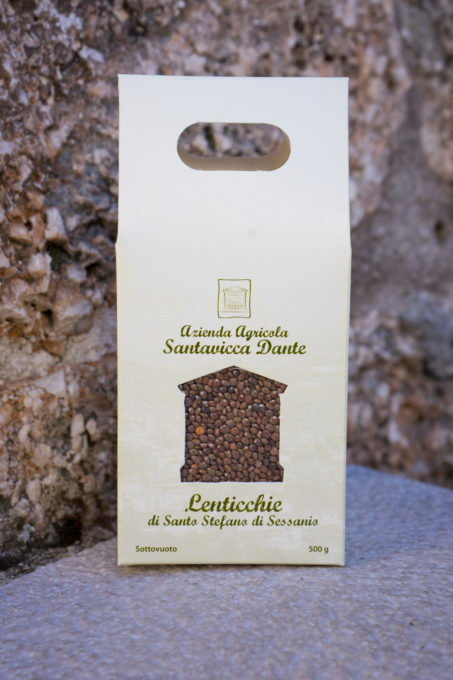 It is also rich in tiny, delicate lentils like those from Santo Stefano di Sessiano, farro (emmer wheat), ancient wheat grains such as Solina, honey, dried figs from Atessa, chickpeas and saffron from Navelli, red garlic from Sulmona, beans from Paganica, grapes, potatoes, sweet peppers, white onions and black truffles. 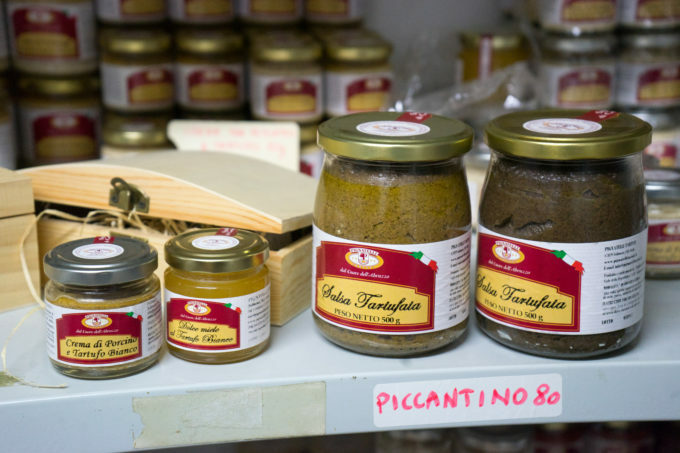 In Sulmona, Pignatelli Tartufi produce an array of truffle products such as truffle sauces, truffle honey and truffle oil which can be purchased at their shop downtown. 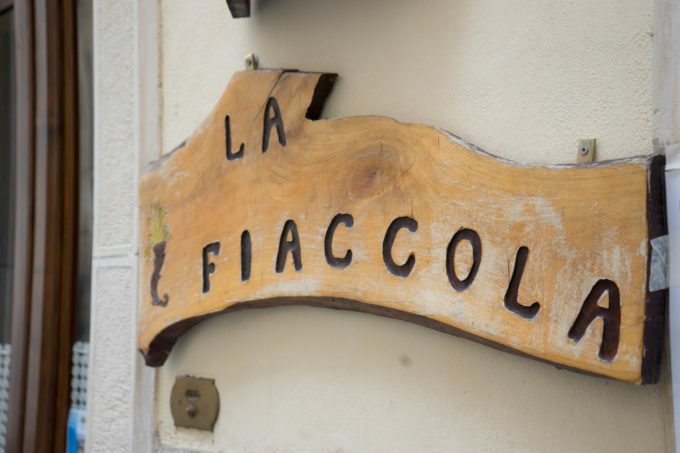 Try La Fiaccola in Anversa degli Abruzzi for truffle dishes. 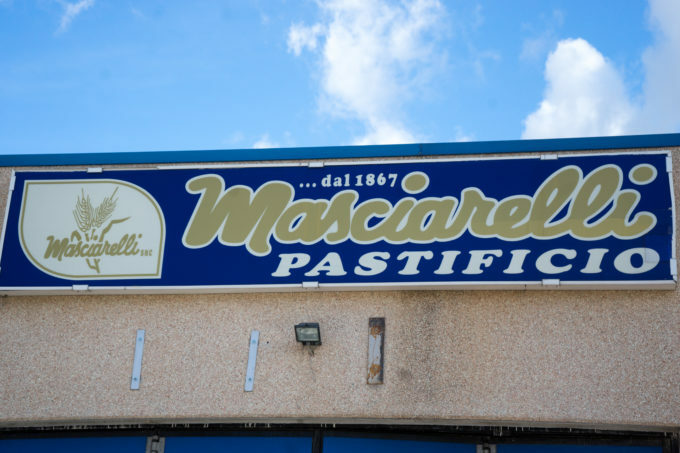 North of Sulmona in Pratola Peligna, stop by Masciarelli, a family-run, traditional pasta maker since 1867, to stock up on pasta made from locally grown wheat. 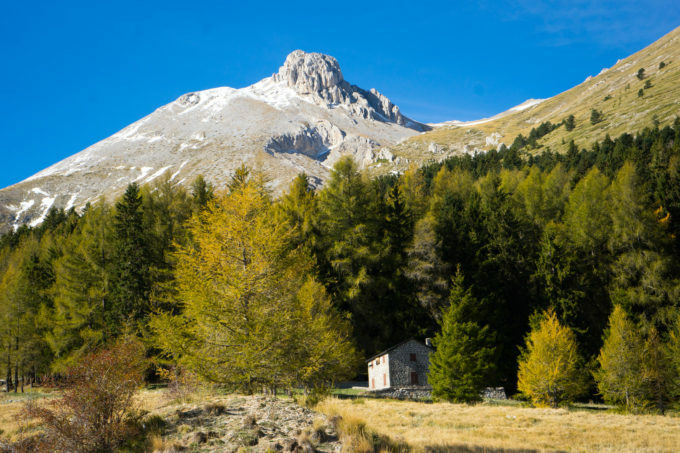 Heading south from Anversa degli Abruzzi, the stunning countryside of the Gran Sasso National Park offers views of Alpine-like lakes, historic hillside towns and mountain passages. 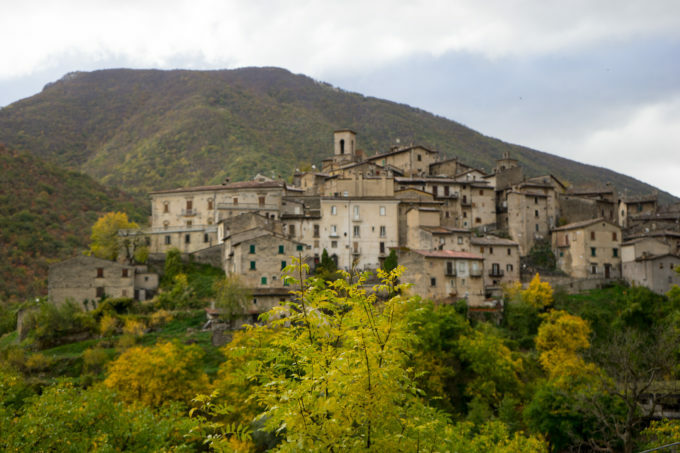 We were hoping to make it to Scanno and then onwards to three scenic mountain towns: Rivisondoli, Pescocostanzo and Roccarso but decided to spend more time around Scanno. 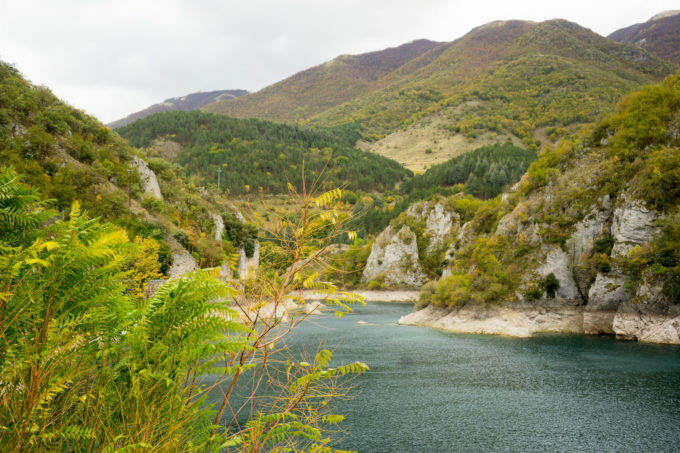 Scanno Lake, legend has it that it was formed by a feud between a witch and a sorcerer. The lake was formed when the witch fell. 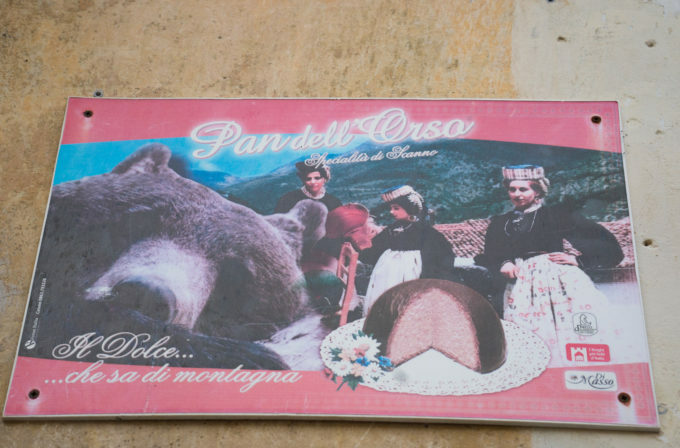 In Scanno itself, there is a famous pastry shop, Pan dell’Orso Pasticceria, renowned for its invention of the Pan dell’Orso, an almond and honey cake coated with chocolate. 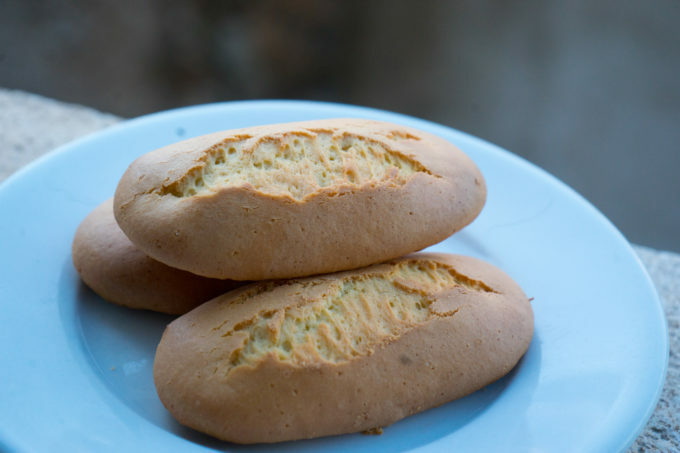 They are also known for their mostaccioli biscuits made using a 18th century recipe. 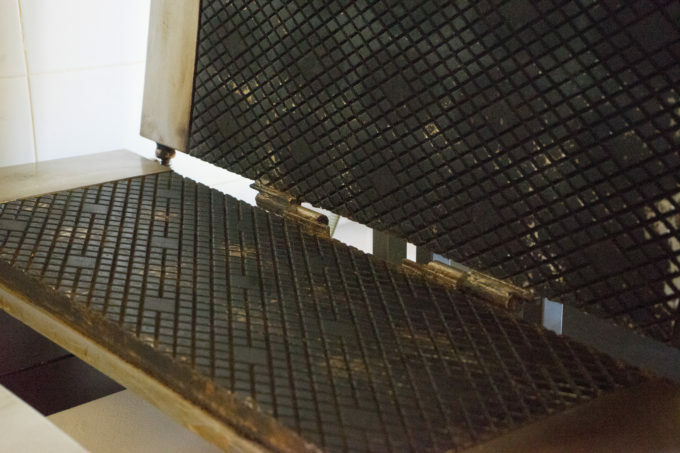 The bakery’s philosophy is to recreate local, ancient flavours but using more modern techniques. 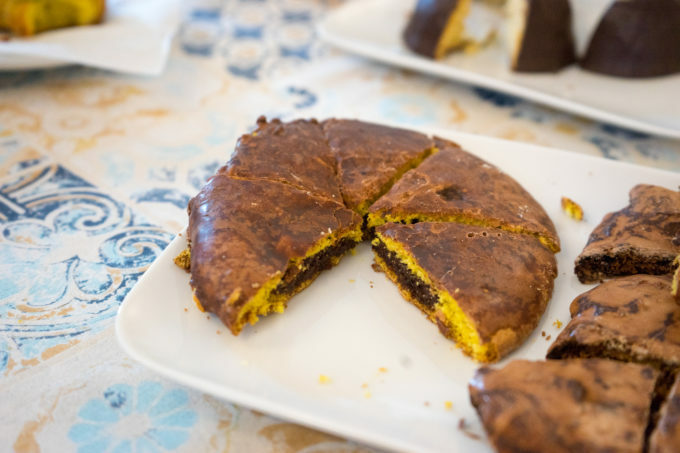 There is also an artisanal biscuit bakery, Biscotteria Artigianale, which specialise in mostaccioli (chocolate, almond and grape must biscuits) as well and an enormous chocolate and almond biscuit called the Biscotto di Prato. 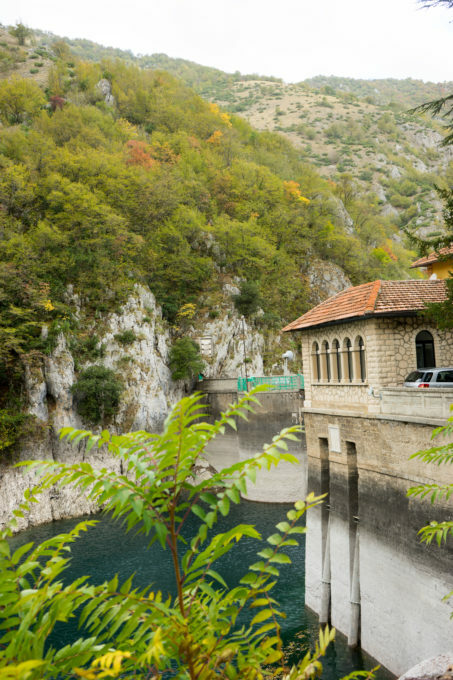 Many people come to Scanno for outdoor sports such as canoeing, fishing, windsurfing, mountain biking and skiing. 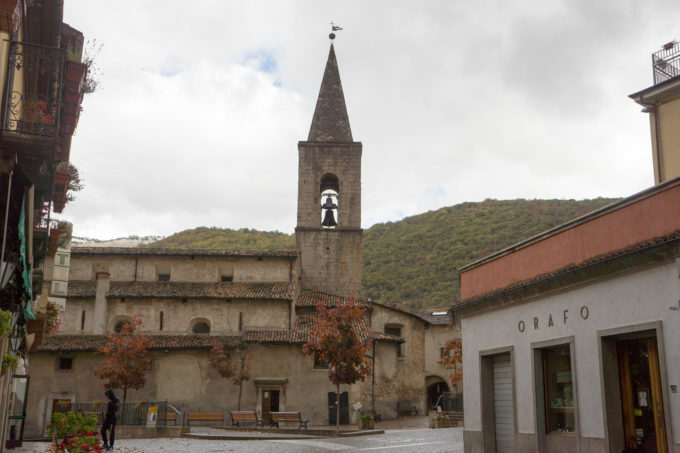 Scanno has some lovely churches and architecture and is also famous for its elaborate gold jewellery and lace making. 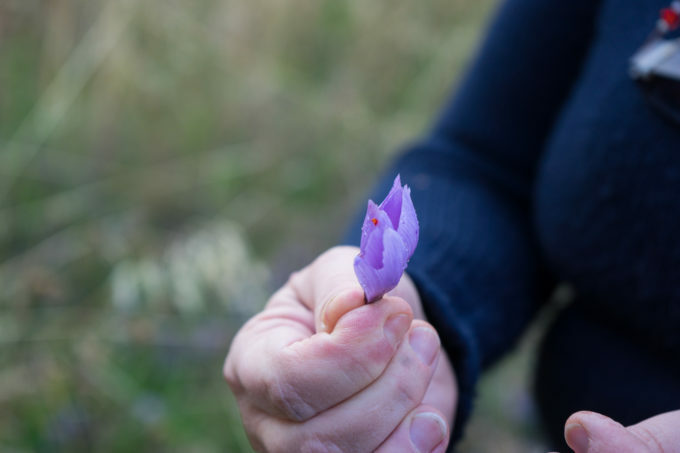 We headed north to Navelli in the wee hours of the morning in time to catch the new crocus buds emerging from the earth. 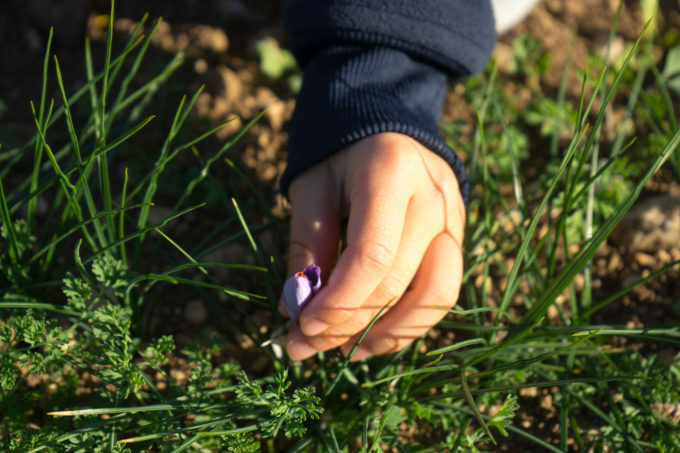 The morning was still quite chilly and excitedly, with frozen fingers, we worked to gently pick the buds from the bottom and collect them in baskets. 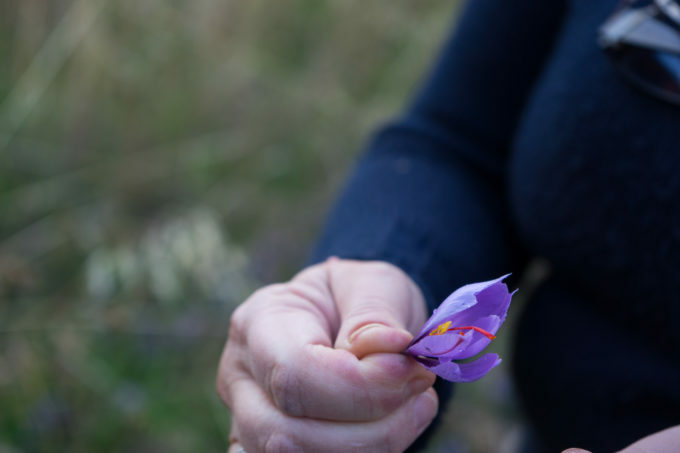 Gina Sarra greeted us in the field encouraging the children to pick the buds and showing them how the stamina inside, when dried, would become saffron (sometimes called red gold due to the high prices it commands). When our hard work was finished we decamped to Gina’s house to warm up with some hot coffee. We were mesmerised by her aunt who was adeptly twisting the base of the buds to separate the stamens from the petals. In the time that the 5 of us managed to do a small pile of flowers, her aunt easy amassed a large pile of stamens. 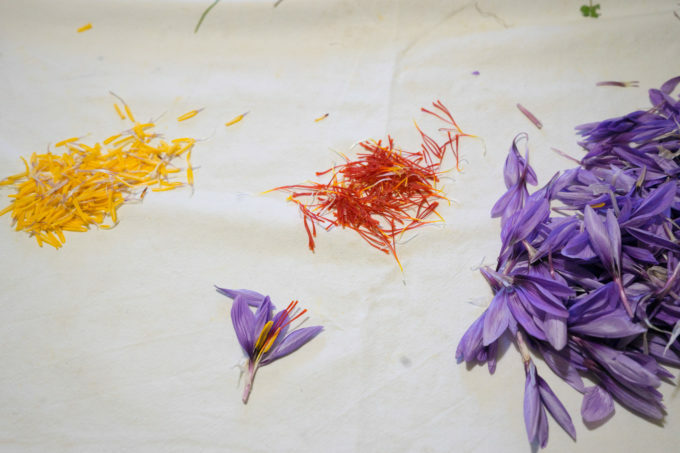 We now appreciate why saffron is one of the most expensive foods available. 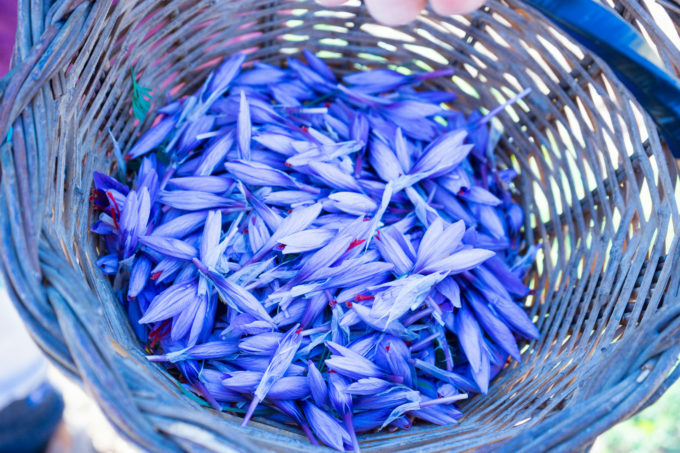 It takes around 150,000 crocus flowers to make 1 kilo of dried saffron! Fortunately a little goes a long way. 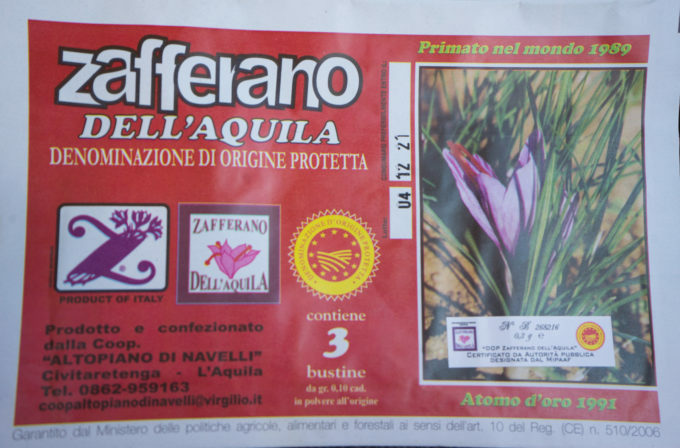 The saffron once its is dried and packaged. 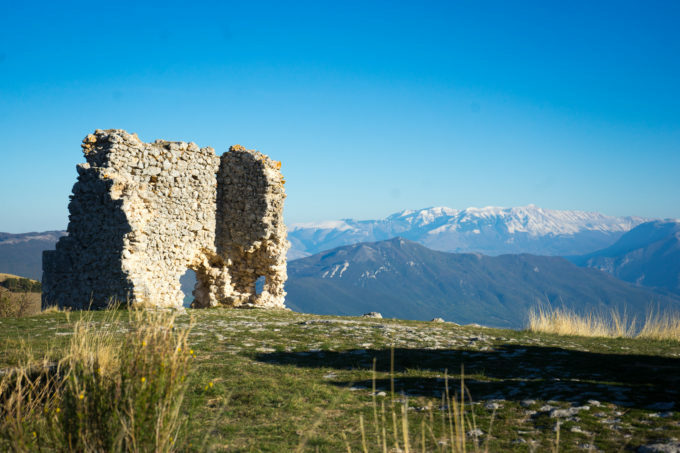 We next stayed at the nearly abandoned town of Calascio, home to extraordinary Rocca di Calascio, the highest fortress in the Apennines mountains. 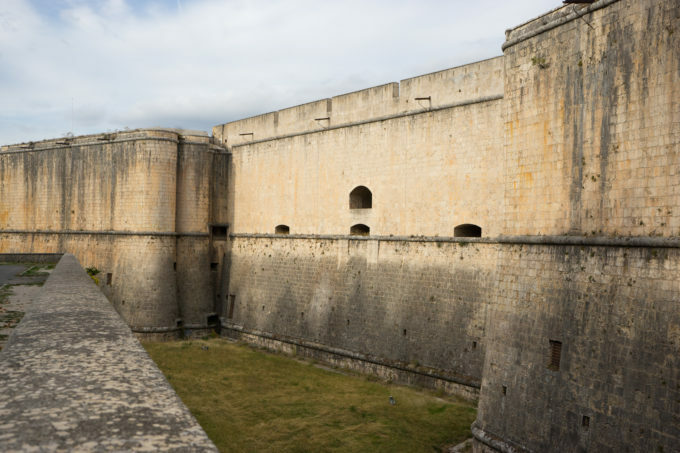 The fortress was constructed between the 10th and 13th centuries and was badly damaged in a earthquake in the 15th century. 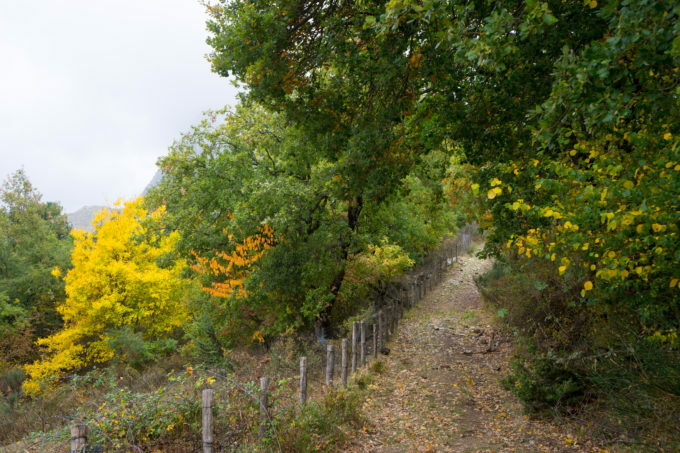 Hiking up and viewing the surrounding countryside was a highlight of our trip. Nearby Calascio we stopped in a roadside restaurant, La Cabina in San Pio delle Camere, for a satisfying lunch of pasta with sausages, porcini mushroom and saffron, pasta with black truffles, pasta with saffron, guanciale and ricotta, black truffle omelettes and grilled sausages. 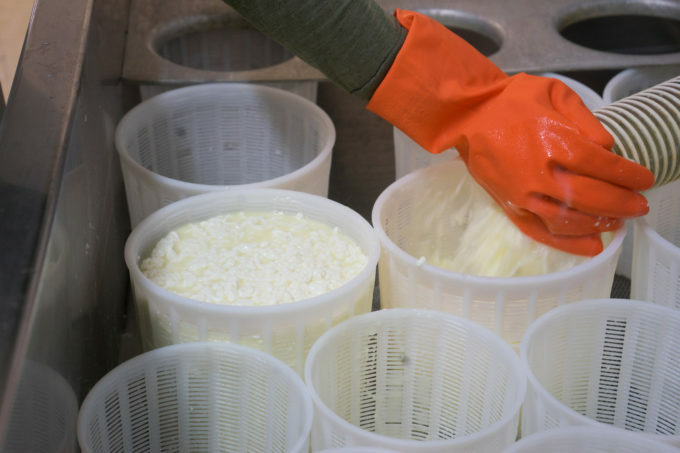 One of my favourite things to do is visit cheesemakers. 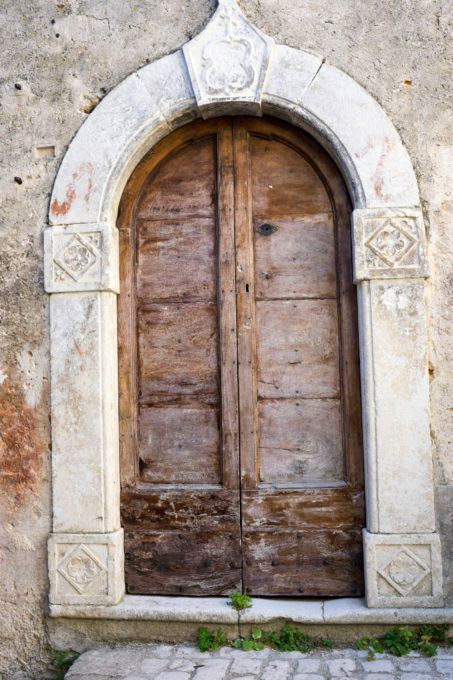 In neighbouring Castel del Monte, a beautiful medieval village, just happens to live Giulio Petronio. 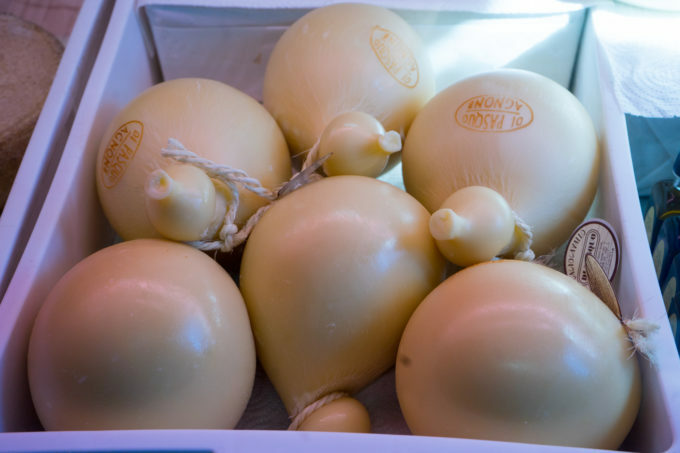 Mr. Petronio is one of the only producers of Canestrato di Castel del Monte, a pecorino cheese which was on the brink of extinction. 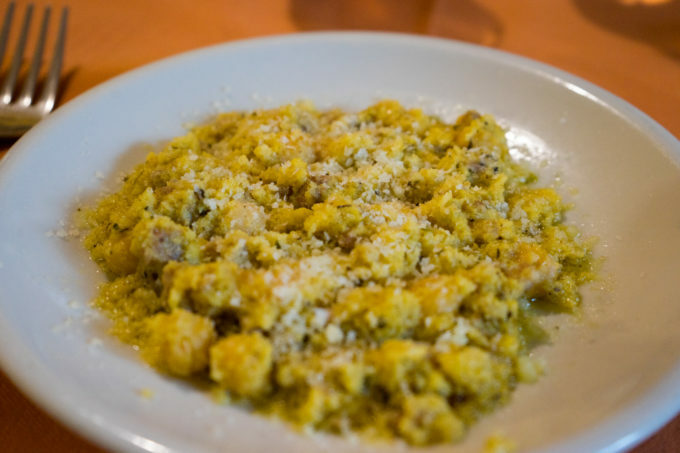 It is made with milk only from the Sopravvissane or Gentili di Puglia sheep, natural rennet and salt. 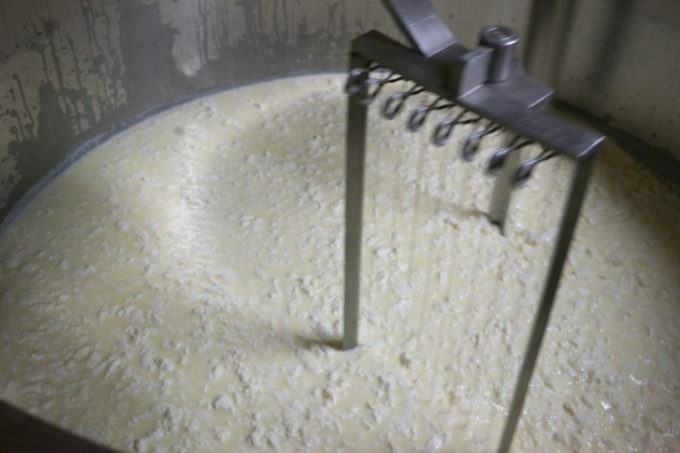 The cheese was traditionally made with milk from the sheep which were part of the transhumance (transumanza), an ancient Italian biannual tradition where large flocks of sheep were migrated from the Apennines in Abruzzo during the summer (including nearby Campo Imperatore) to the more temperate coastal plains in Puglia in the winter. 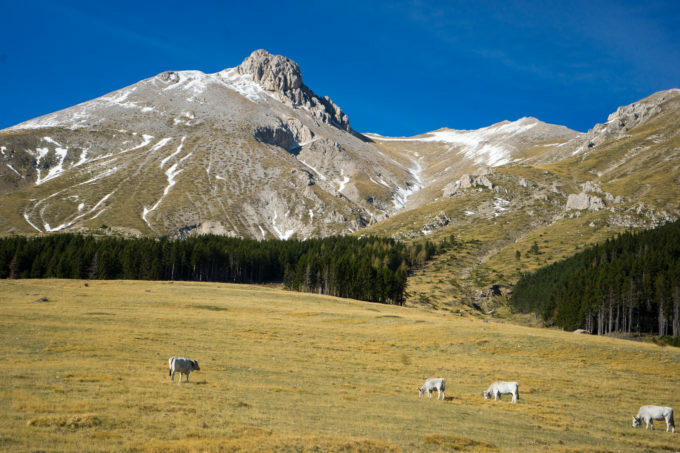 There are up to 300 different forage plants in the Gran Sasso which create ideal conditions for sheep farming. 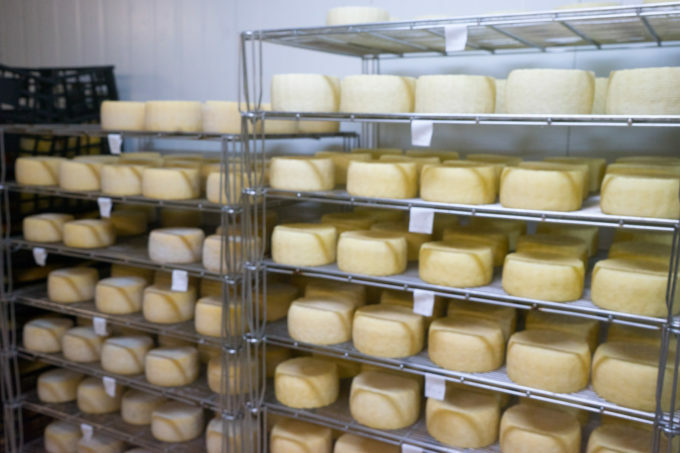 The Canestrato di Castel del Monte is pressed into shape with characteristic basket markings on the rind. 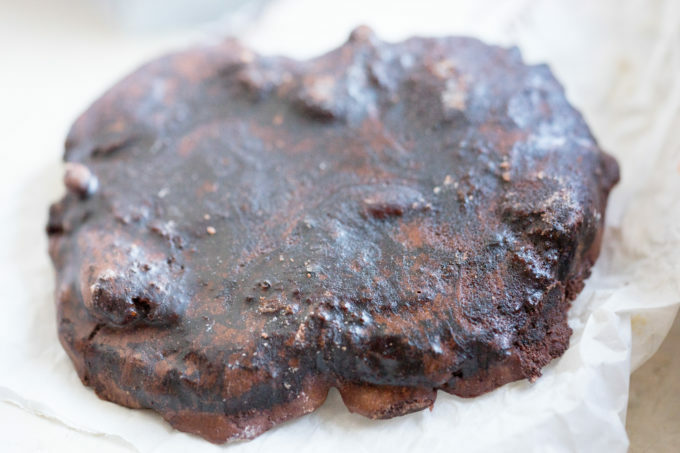 It is aged for at least 2 months and is rubbed with olive oil to prevent it from drying out. 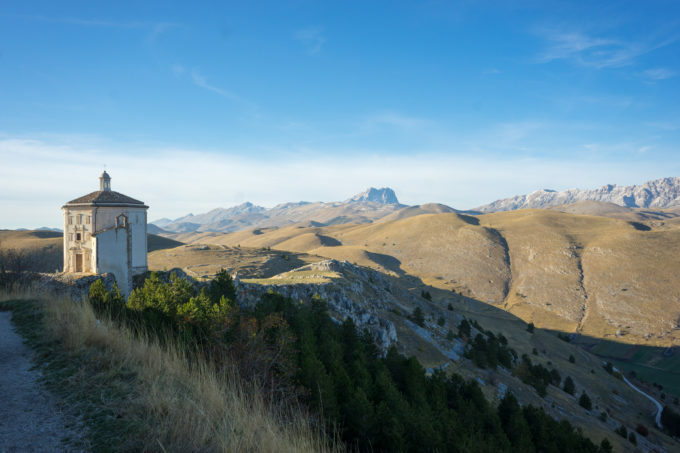 Santo Stefano di Sessiano is one of the most beautiful medieval villages in the Gran Sasso National Park. 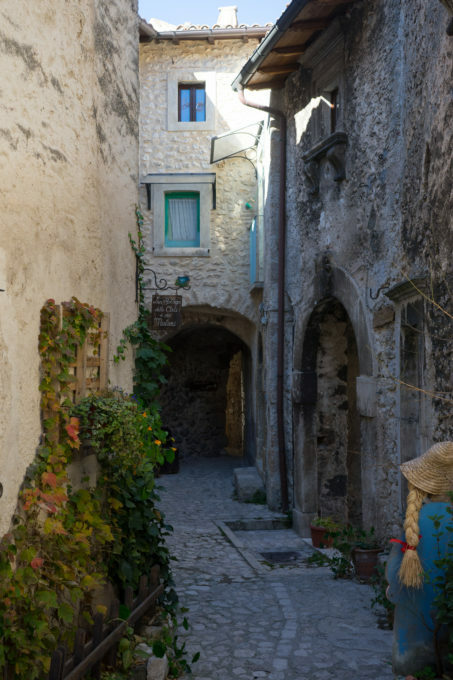 Many of the buildings date between the 11th and 15th centuries but the picturesque village is largely abandoned. It reminded us of the small towns along the south of France. 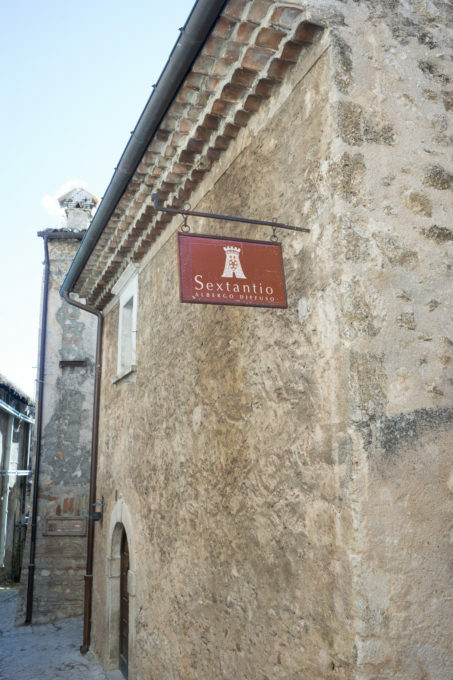 Santo Stefano di Sessiano is known for its tiny, delicate lentils and a luxury hotel, Sextantio (the town’s name in Roman times) which is diffused throughout the town. 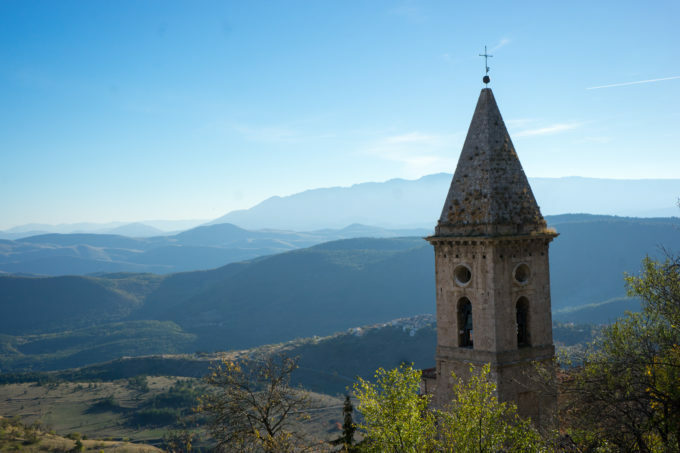 The pinnacle of the town was the Medici tower which fell during the earthquake in nearby L’Aquila. It was being reconstructed when we visited. 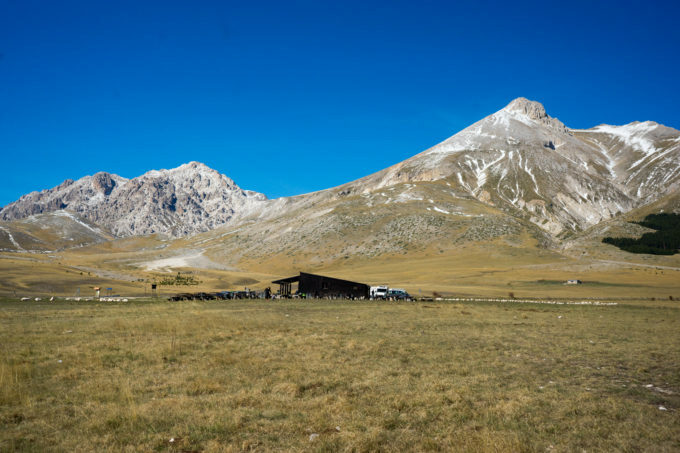 A visit to Campo Imperatore, where Mussolini was imprisoned during World War II, was the absolute highlight of the trip. This 19 kilometre long wide plateau is 1,800 meters above sea level. 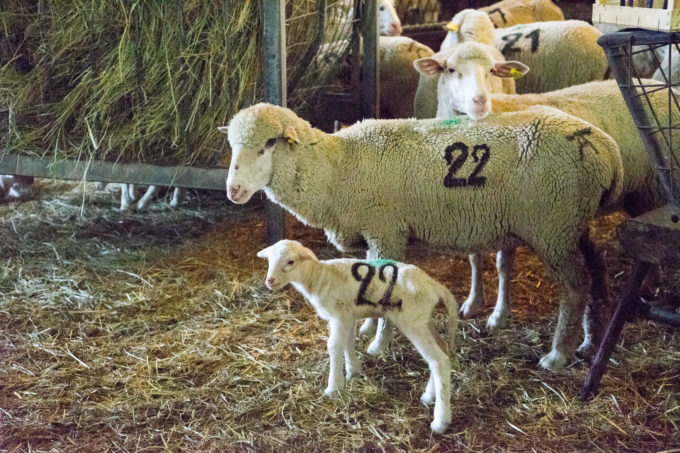 In ancient times, shepherds brought their sheep from Puglia, Campania and Tuscany to graze here during the summer months. 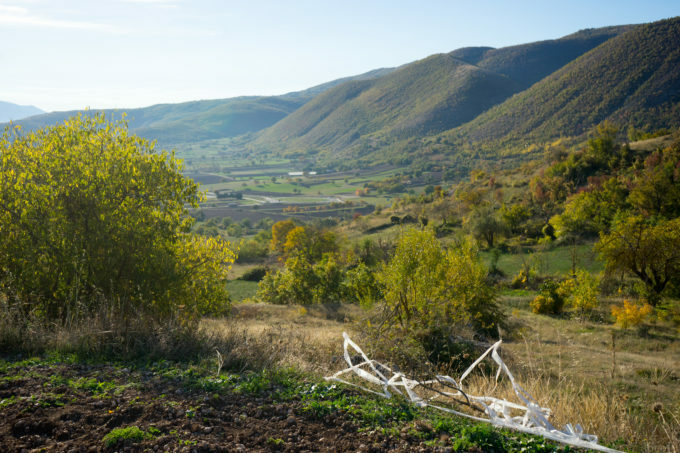 The transhumance has had a huge cultural impact on the areas affected. For nearly two thousand years, livestock have been brought to pasture here and thousands are still brought here to graze every May. 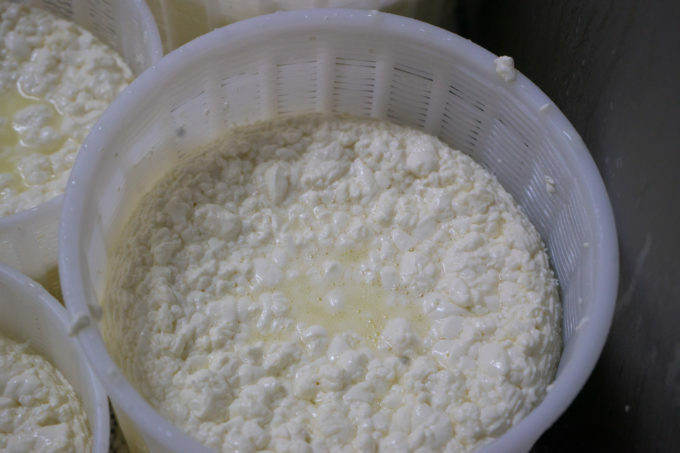 Mr. Petronio explained to me when I visited his cheesemaking factory that 100 years ago, 500,000 sheep used to graze on the Camp Imperatore. 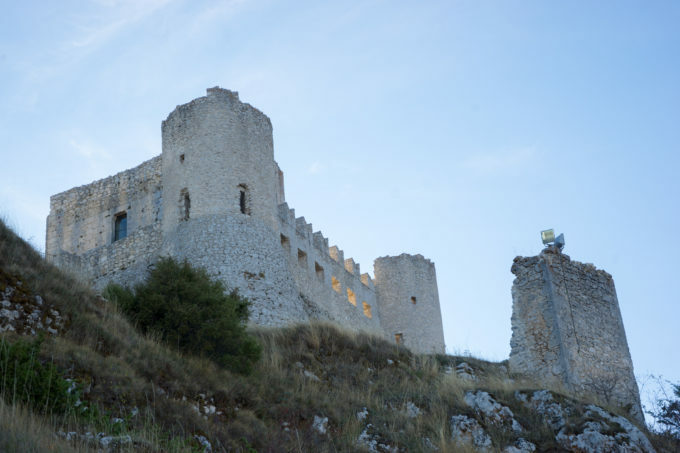 He said when he was a child there were 30,000 sheep in Castel Del Monte alone and 5-6,000 in Calascio. Today there are a total of 13,000 sheep from all over. 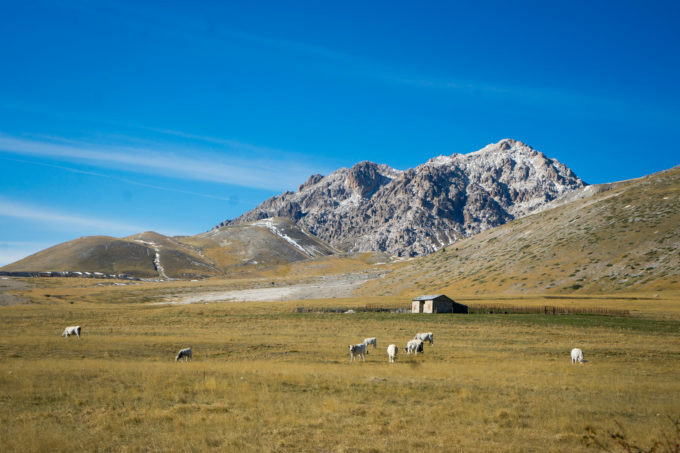 The transhumance used grassy paths (tratturi) to bring the sheep to pasture and one of the most important started at San Pio delle Camere and finished in Foggia, Puglia (a 15 day walk) where taxes were collected for pasturing. 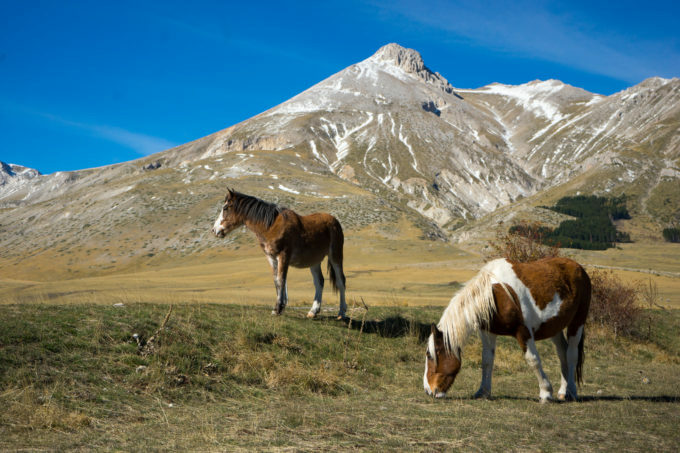 We visited to see the spectacular scenery dotted with roaming horses, cattle and sheep. 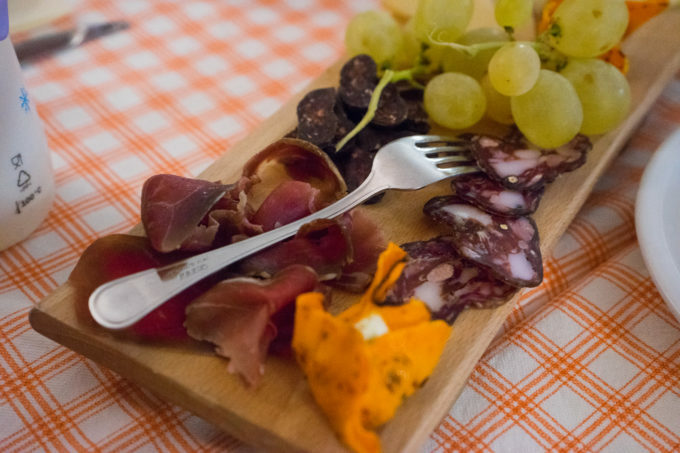 There are two restaurants on the plateau where we could buy raw meat and cheese for grilling. The restaurant set up the grill and provided bread, wine and water for purchase. 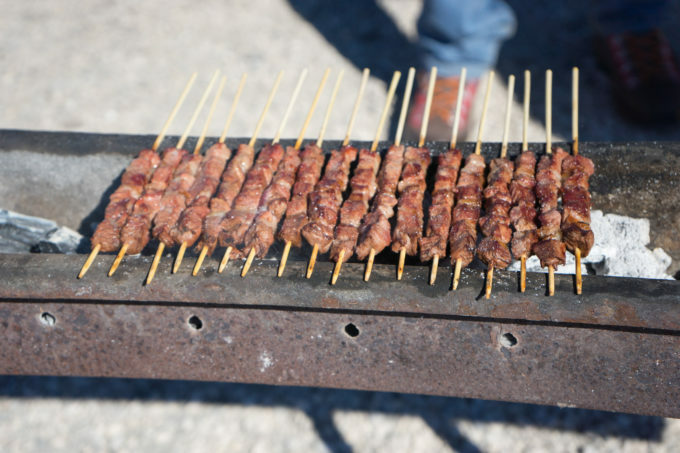 A favourite amongst the Abruzzese are arrosticini (tiny cubes of lamb meat skewered and grilled). The children ran in all directions, trying to get closer to the livestock while we grilled. Everyone slept well that night. 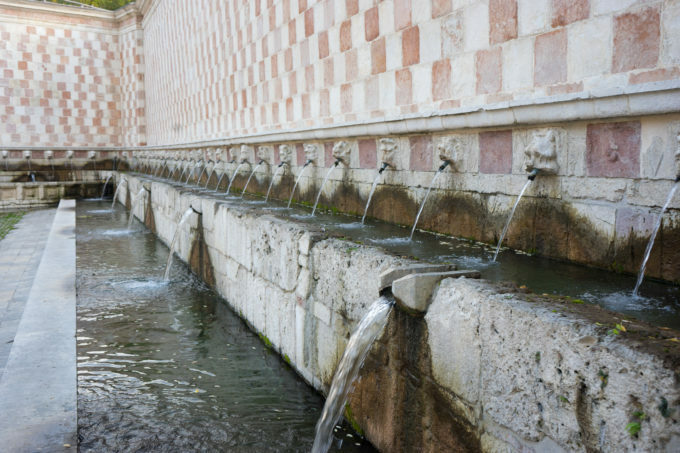 Legend has it L’Aquila was founded in the 13th century when 99 castles joined together to form a city. 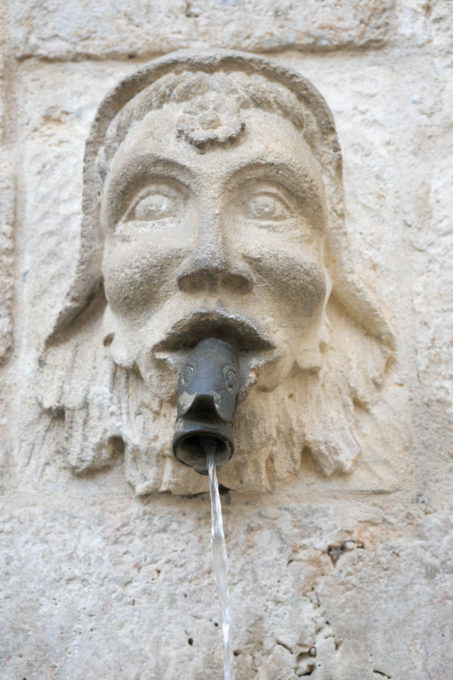 In the city, each castle had its own church, fountain or piazza. 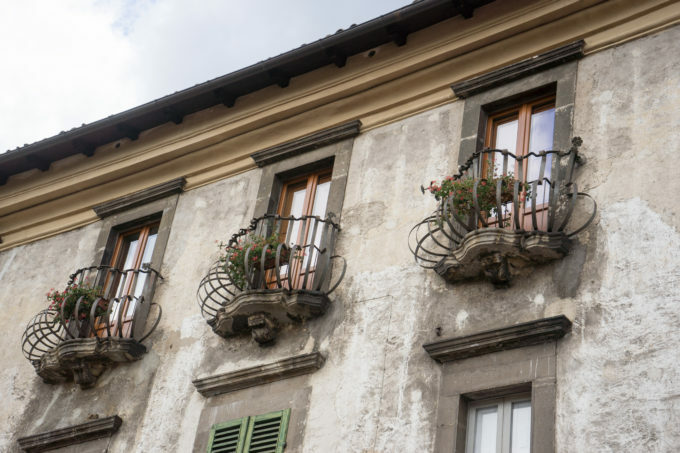 L’Aquila was a jewel of a town with a long history and truly amazing architecture. Sadly the town was devastated by an earthquake in 2009. 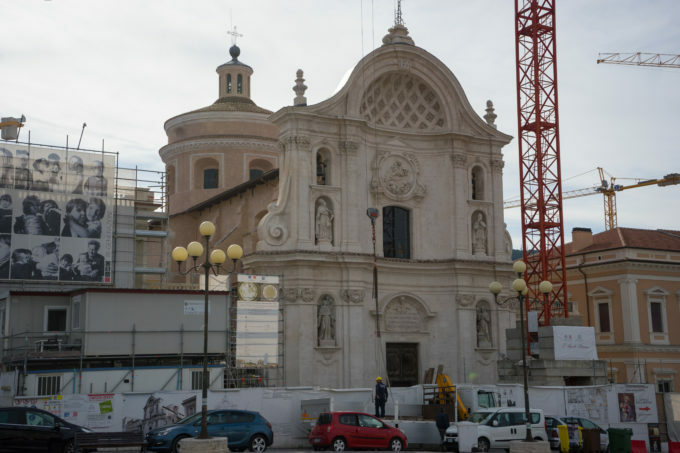 The town remains under reconstruction today although the impressive facades of many of the Baroque and Renaissance buildings remain. 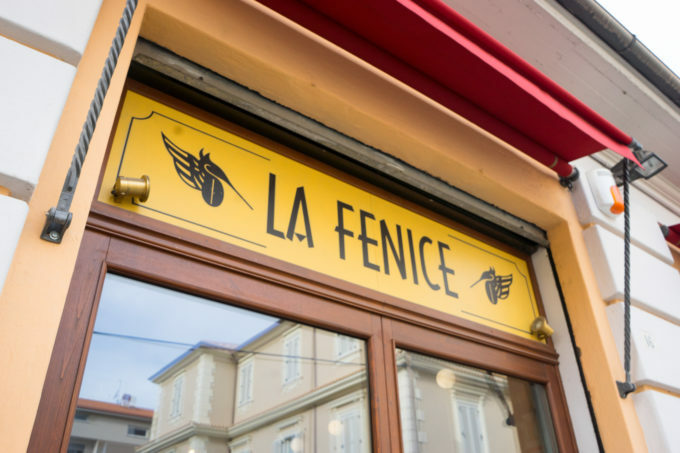 If you go to the castle, do stop into the wine shop, La Fenice. 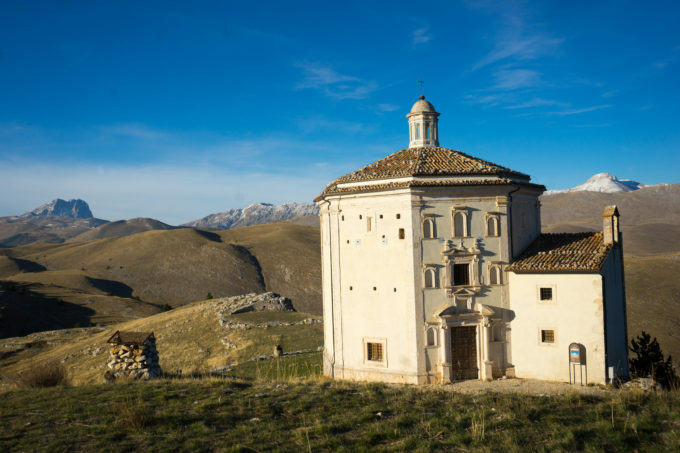 They have an impressive collection and knowledge of local and national wine, including wines from Loreto Aprutino (an area in Abruzzo producing top quality wine). 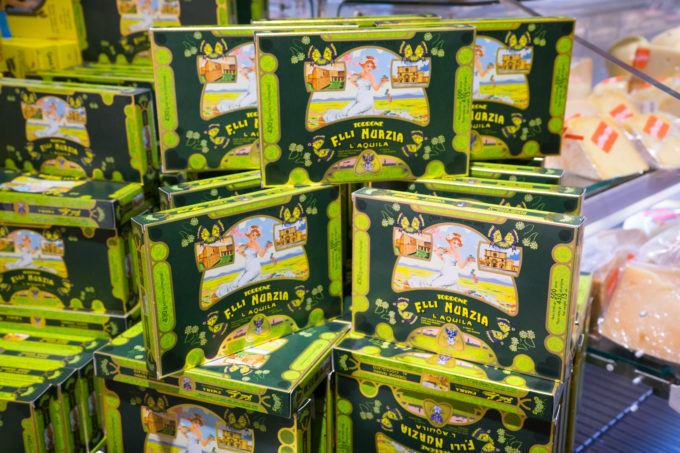 L’Aquila is also home to Fratelli Nurzia, producers of fine, soft torrone aquilano (honey nougat- try the chocolate and hazelnut and white torrone with almonds varieties) since 1835 so don’t forget to buy a box to take home. They have a bar in Piazza del Duomo (closed when we visited). 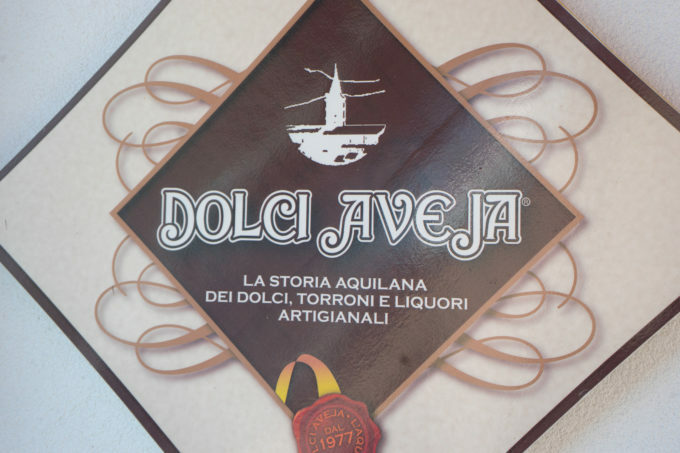 We also visited newer torrone producer, just outside L’Aquila called Dolci Aveja to tour their factory and sample their decadent products. 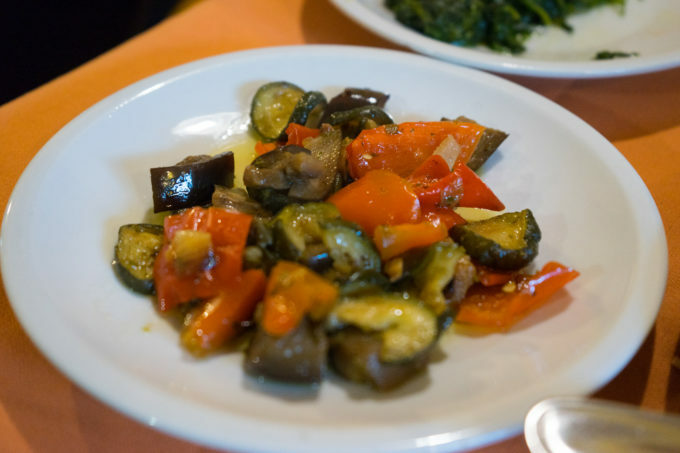 Only top, super-fresh ingredients are used at Dolci Aveja. We were given a tour by Mariano and Maria Teresa whose family own the bakery. It was evident how much thought and consideration was put into each creation as they tried to create the best product possible. 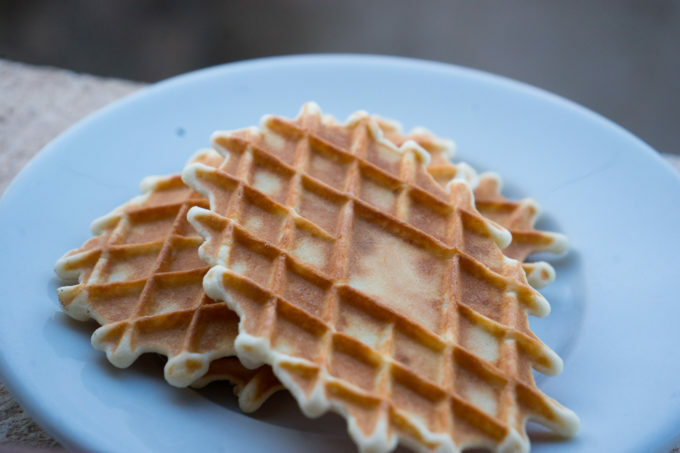 Their torrone and ferratelle (waffle biscuits) were the best we tried the entire trip. The way their chocolate broke (one of the tests for fine chocolate) and melted was perfect. It is a real joy to visit a producer that cares so much about their product and manage to create such fine products. Reluctantly we looped back down to catch our flight from Rome, stopping in Paganica to visit their famous butcher, Ugo DePaulis. 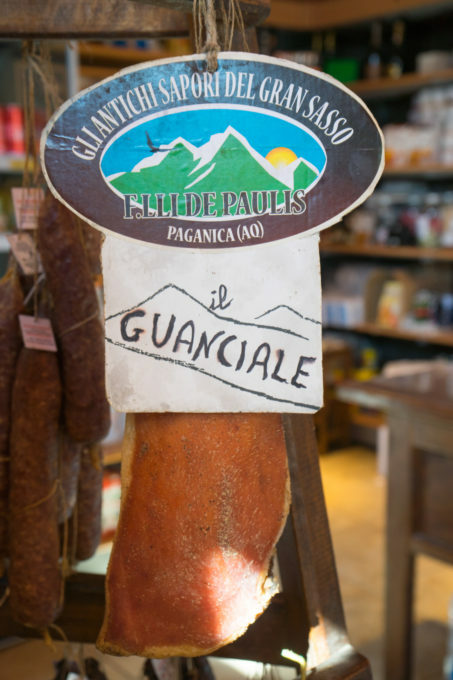 DePaulis has for three generations been producing top quality salumi from locally grown livestock from the Gran Sasso using traditional methods. 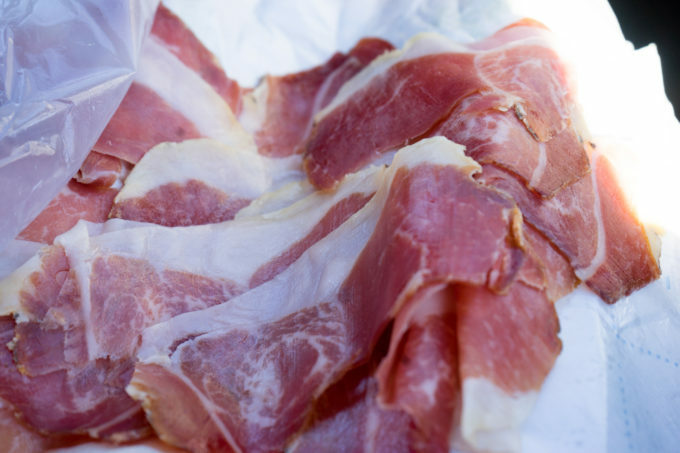 They are most famous for their Cuore di Paganica, a giant, flavourful but delicate culatello (the best part of the prosciutto). We were not disappointed. 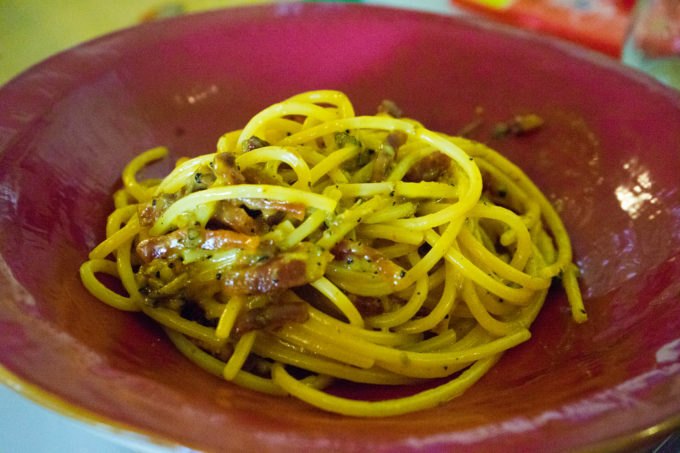 Their guanciale, cured pig’s cheek flavoured with pepper and chilli and smoked, which was a staple for the shepherd’s in the Apennines is an essential in many dishes including amatriciana, was also delicious. 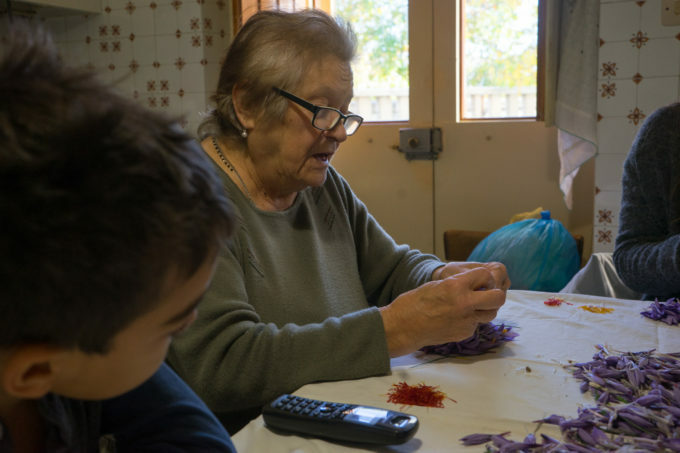 We stopped at an organic agriturismo, AgriQuartuccio, in Oricola on our way back for lunch and joined long tables of Italian families gathered for a Sunday lunch. There were play areas for the children outside and donkeys, sheep and pigs. The menu was seasonal so changes frequently but everything was delicious and a perfect end to a perfect trip. 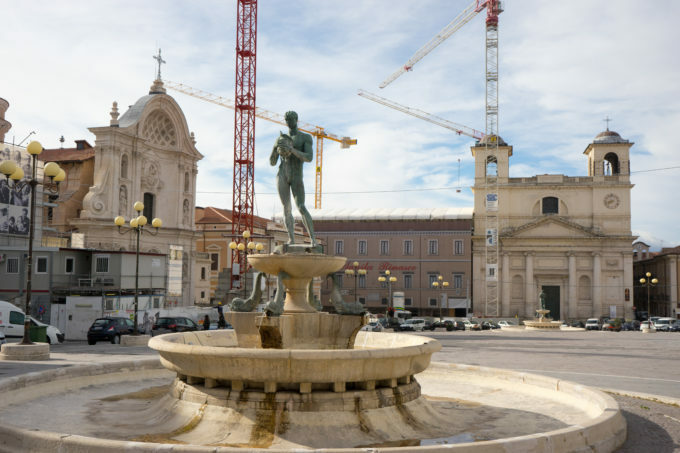 Next we need to explore Chieti and the coastal areas of Abruzzo. 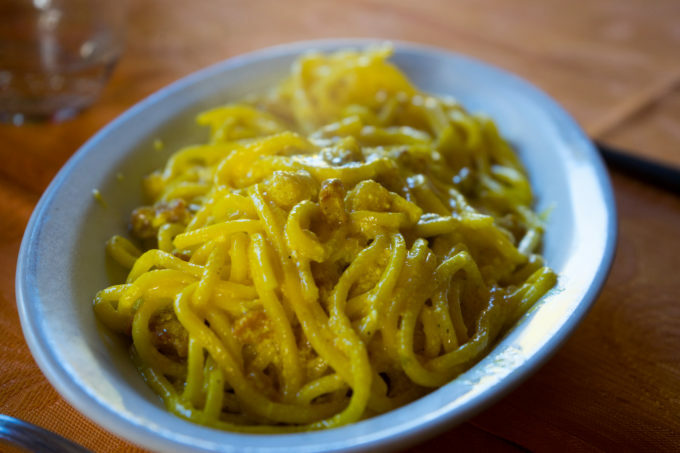 This restaurant has been run by the Centofanti family since 1986 with the philosophy of respect for the land, sustainable agriculture and sheep farming. 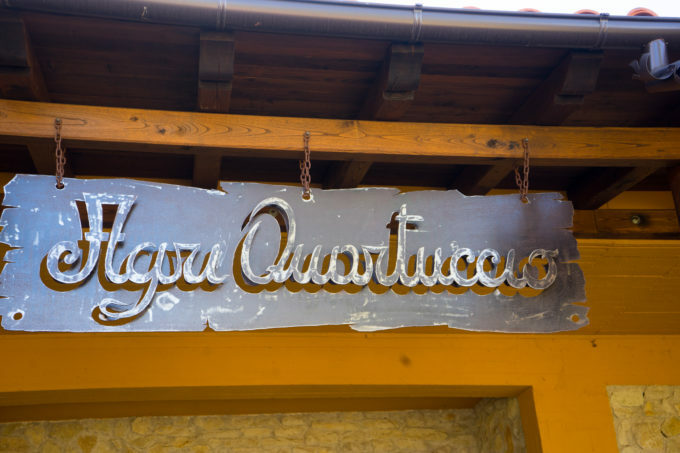 It is a classic Abruzzese country style restaurant with a great wine list. Recommended: shaved raw porcini mushroom salad, grilled scamorza cheese with prosciutto from Maiella Park, grilled meats, pappardelle with mutton ragù and pecorino from l’Alta Valle del Turano and fettuccine made with Solina ancient wheat and ragù Abruzzese made with 3 different meats and pecorino from l’Alta Valle del Turano. 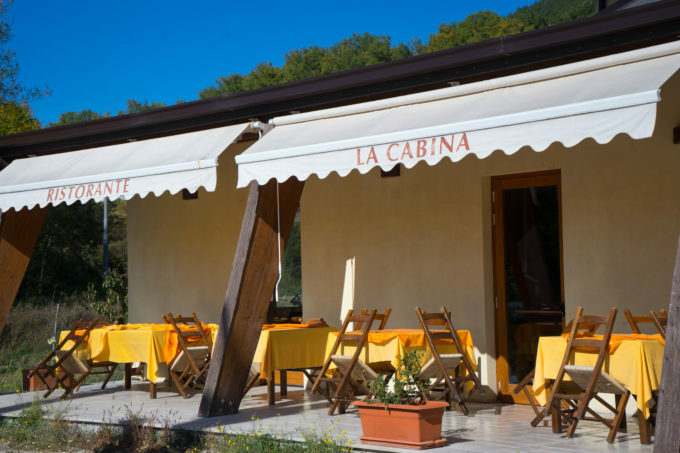 This agriturismo was the perfect Sunday lunch spot in the countryside with plenty of space for children to run, excellent food, animals to see and even a pool in hotter months. The menu is seasonal but everything we tried was delicious. 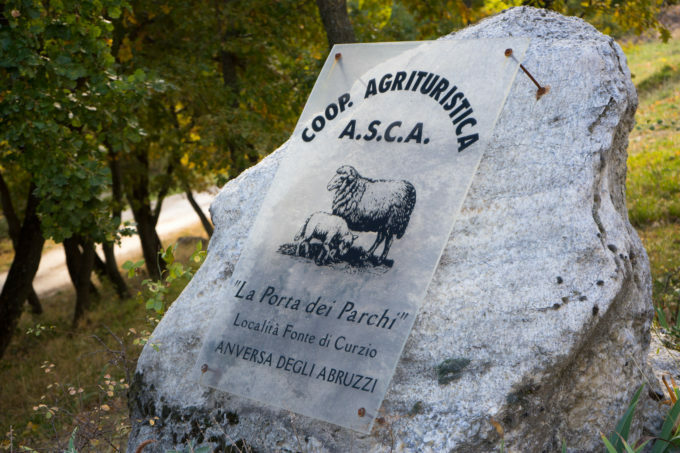 An agriturismo, farm school and restaurant. 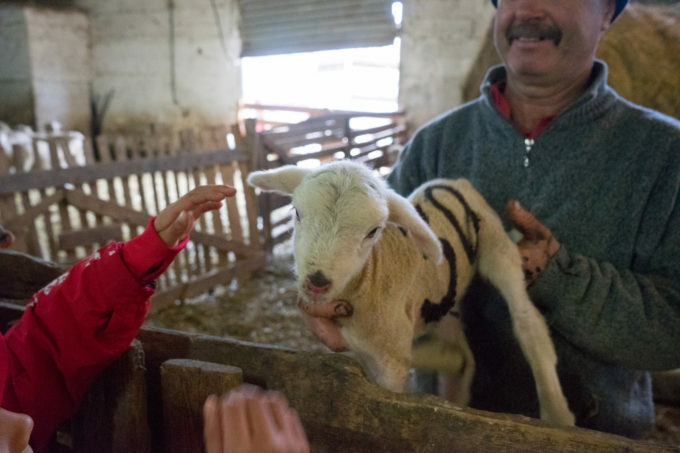 They even have a program where you can adopt a sheep and you receive its annual production of cheese and wool. 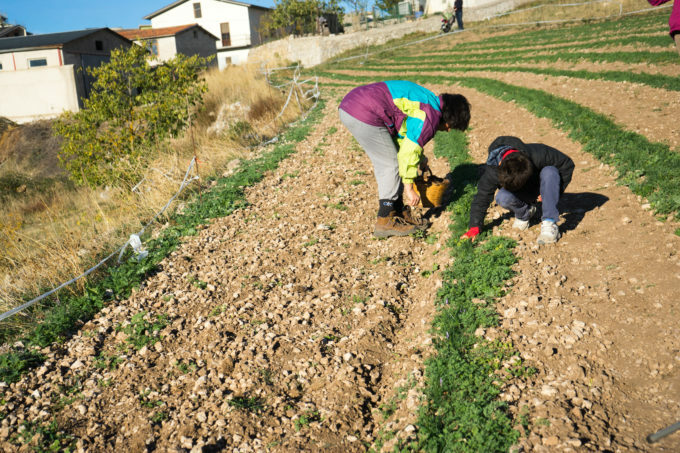 They do farming classes for children or you can learn cheese production, spend the day as a shepherd or learn how to harvest nuts or olives or make jam. Recommended: cheese platter (smoked ricotta with juniper, with tomato and chilli, with black truffle, with herbs and with garlic and onion, mature pecorino and extra-mature pecorino), salumi platter (liver sausage, lamb sausage and prosciutto), pumpkin with fresh goat and sheep cheese, pickled garlic flower stems, giardiniera (pickled vegetables) gnocchi all’ortolana (gnocchi with mixed vegetables), frittata con mentuccia (omelette with pennyroyal), fettuccine di Canepa con salsiccia e zucca (hemp fettuccine with sausage and pumpkin), pappardelle con cinghiale (pappardelle with wild boar meat sauce) and mozzarella con prosciutto (mozzarella with prosciutto). Recommended: Ravioli di burrata al pomodoro e scaglie di ricotta affumicata (ravioli filled with burrata and topped with tomato sauce and smoked ricotta), trofie con ricotta, zafferano e pecorino (trofie pasta with ricotta cheese, saffron and pecorino cheese), fettuccine con ricotta, tartufo nero e pecorino (fettuccine with ricotta cheese, black truffle and pecorino cheese), salsiccia (grilled sausage), arrosticcini (grilled lamb kebabs), agnello arrosto (roast lamb), ciabotto (baked mixed vegetables) and polenta with black truffle, chickpeas, onion and sausage. 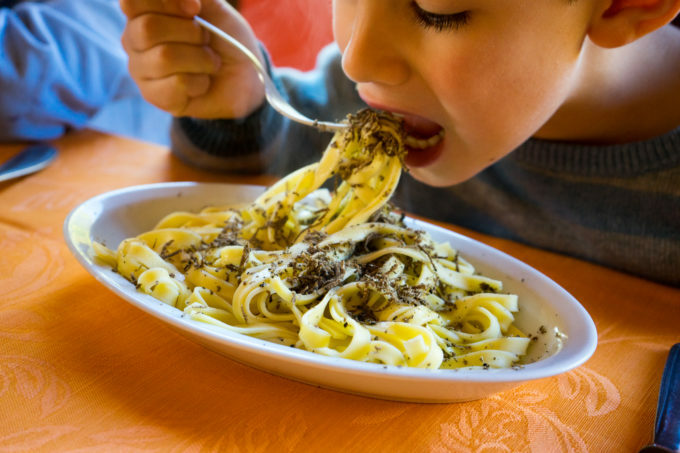 A top producer of truffle products such as pureed truffle, truffle honey, truffle oil, truffle and Pecorino cheese sauce, truffle sauce, truffle butter, pureed truffle and asparagus, pureed truffle and porcini mushrooms and truffle and chili sauce. Confetti Pelino was started by Bernardino Pelino in 1783 with a commitment to using only the best sugar, almonds and natural vanilla that continues today. Recommended: Try the almond, hazelnut, almond with chocolate and the soft confetti in various flavours – nutella, fruit, rum, etc. 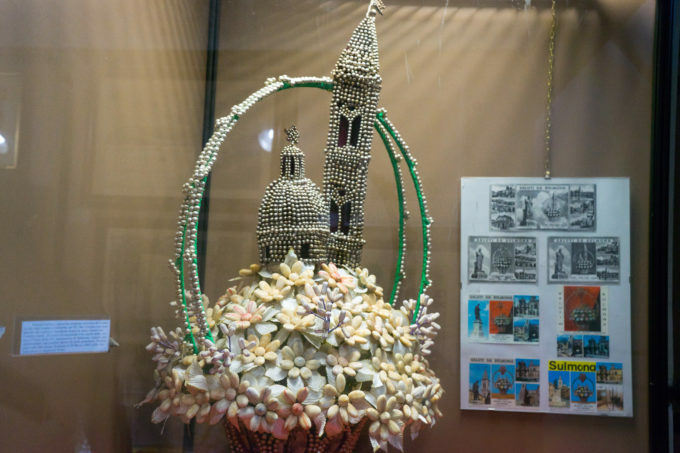 Its worth a stop to see their incredible creations and take the time to visit the museum. A family run pasta maker since 1867 using slow drying techniques and bronze dies to make 17 pasta shapes and sizes. 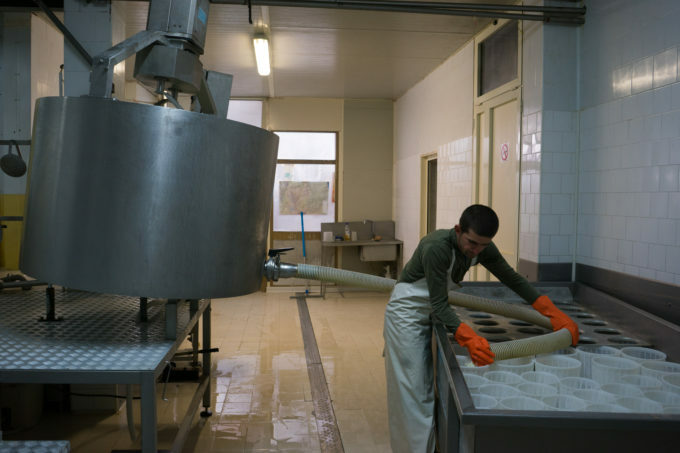 The flour is from Campobasso’s Ferro mill and the pastas carry the Parco Nazionale della Majella seal. 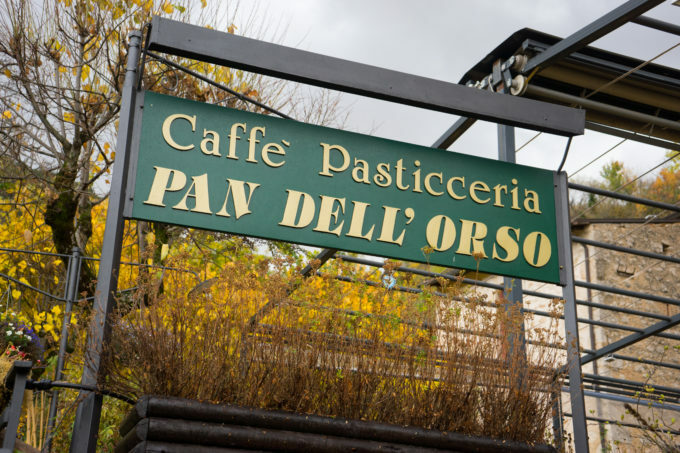 This is considered one of the best bakeries in Abruzzo and in Italy. It is a family run bakery with many original creations as well as modern takes on traditional recipes. 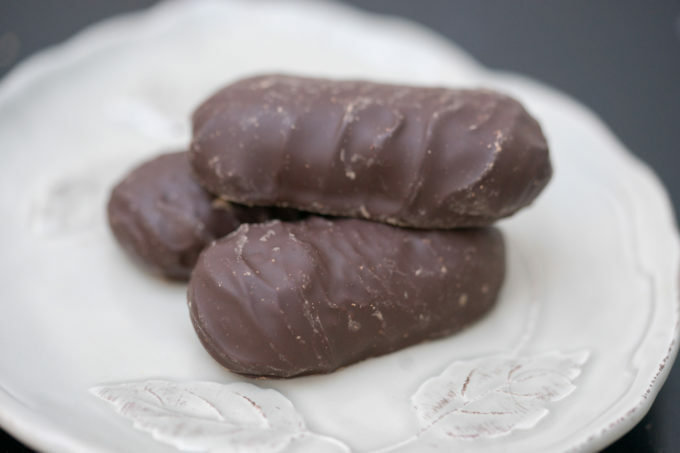 Their mostaccioli recipe is from the 18th century and features a soft centre. There are mandy different biscuits, pastries and sweet breads. 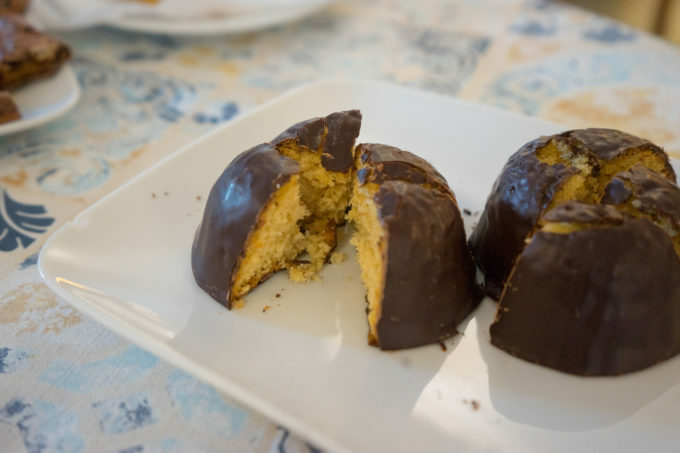 They invented the Pan dell’Orso, the signature sweet of Scanno made of a honey and almond cake coated in chocolate. 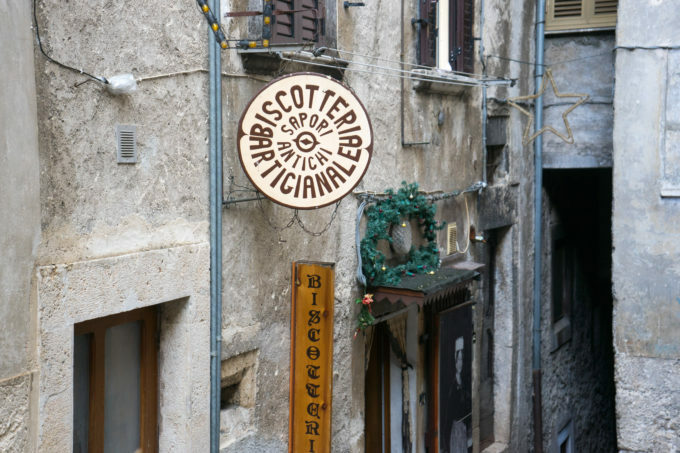 A biscuit shop famous for their mostaccioli (chocolate, almond and wine must biscuits), scarponi (biscuits made with walnuts and grape must), biscotti di prato verde (an enormous chocolate and almond biscuit) and mandorle ratterrate (sweets made with almonds, cocoa and grape must). 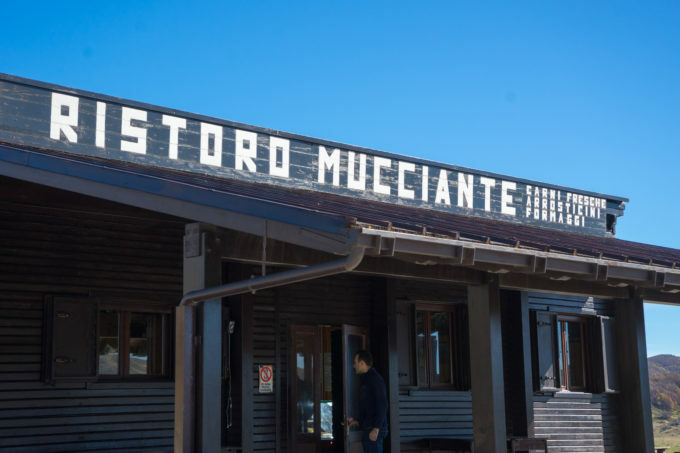 Mucciante is one of the two restaurants in Campo Imperatore. Grab some raw meat and cheese inside and they will fire up the grill. Sit at one of the picnic tables and enjoy the scenery and freshly grilled meat. Bring your own vegetables….and possibly some oven mitts. 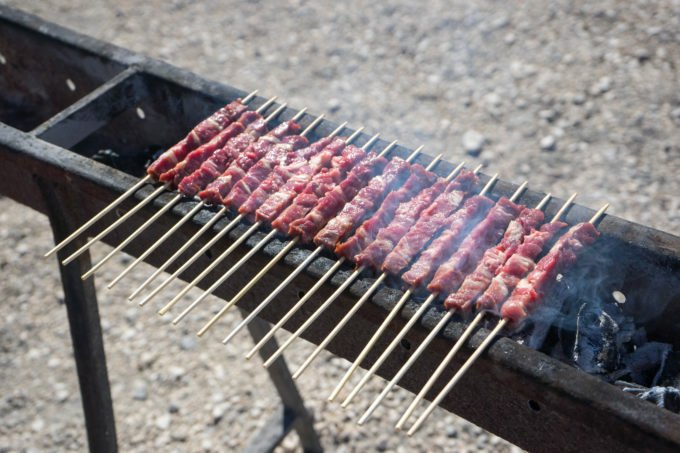 Definitely try the arrosticini (small cubes of lamb skewered). 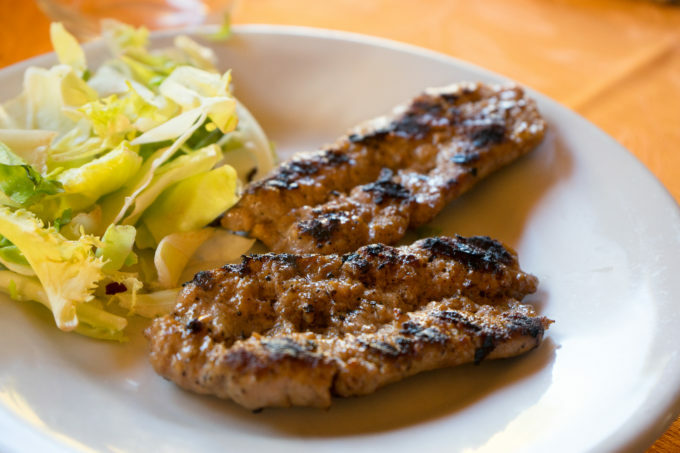 The veal and sausage are also worth trying. 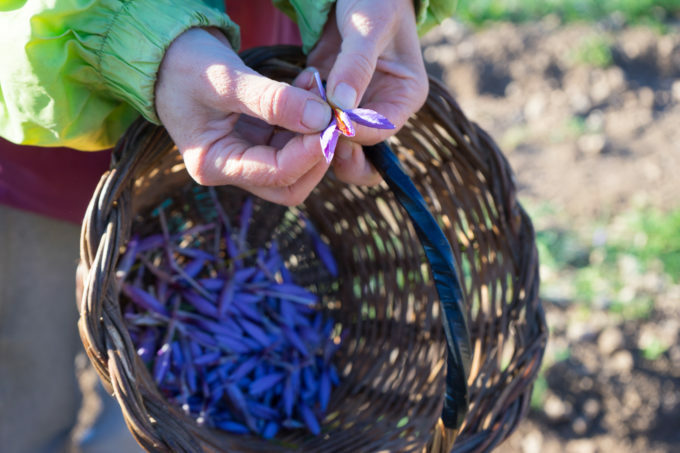 Saffron picking and purchasing. Ring ahead to organise and prepare to get there early to grab the buds when they emerge with the morning sun. 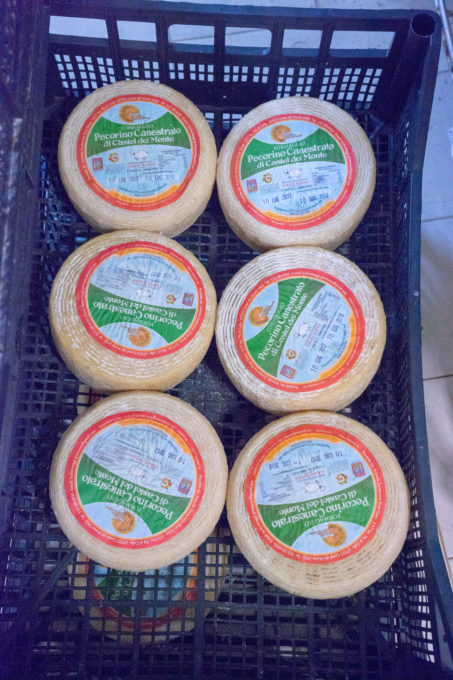 Canestrato di Castel del Monte is a pecorino cheese with characteristic basket markings on the rind and which can be tasted fresh, semi-mature or mature. 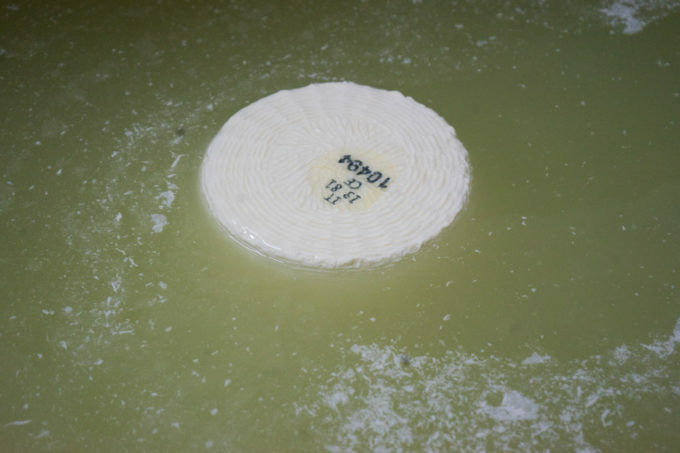 Giulio Petronio is one of the only producers of this cheese which was saved from the brink of extinction. 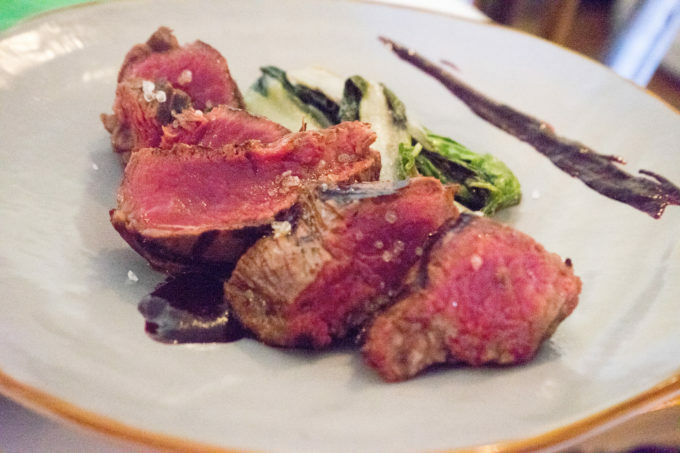 A rather unassuming restaurant that nonetheless makes some delicious dishes worth trying. 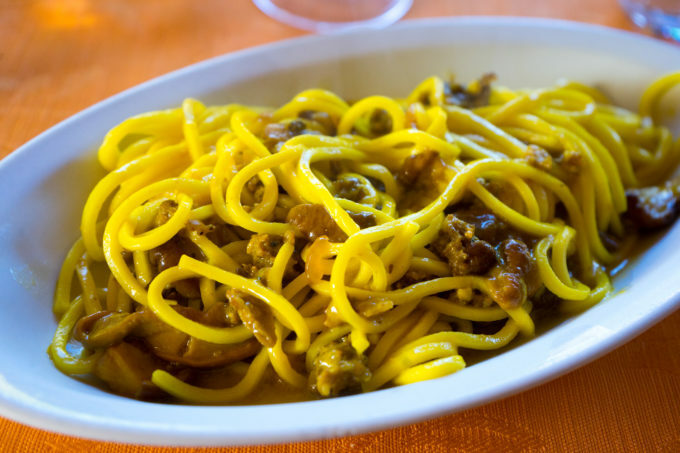 Recommended: Chitarrina con zafferano, salsiccia e porcini (square-cut spaghetti with saffron, sausage and porcini mushrooms), fettuccine con tartufo nero (fettuccine with black truffles), chitarrina con zafferano, guanciale e ricotta (square-cut spaghetti with saffron, guanciale and ricotta), frittata con formaggio e tartufi (cheese and black truffle omelette) and grilled sausages. A truly phenomenal wine shop expertly run by knowledgeable staff. 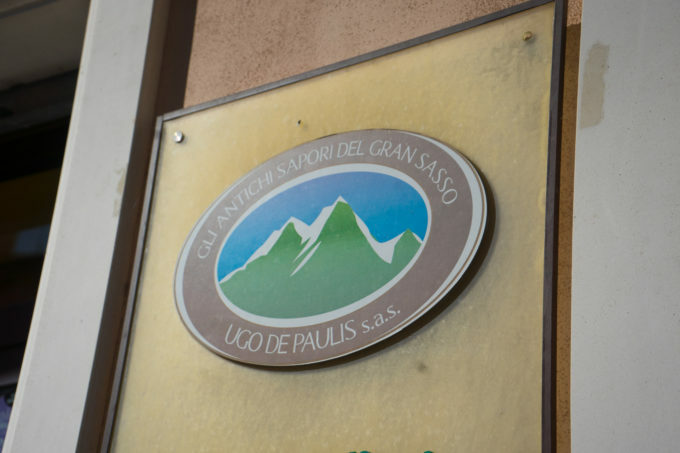 A paradise for oenophiles and a good place for novices to learn a lot more about local wine and wine from all over Italy. Also a great place to grab a bite or a coffee. 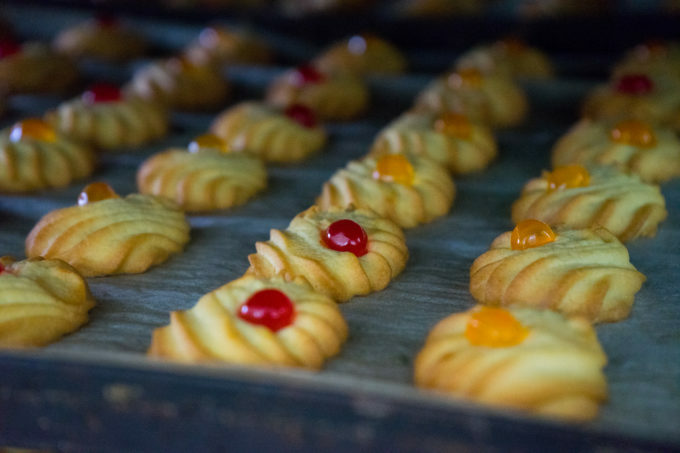 A family run sweet shop producing excellent pastries, torrone and liquors from top ingredients. 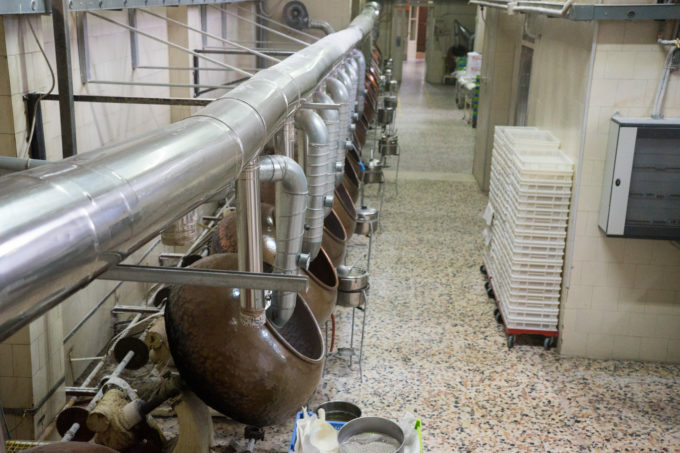 They do factory tours but if you see their products, especially the torroncini and ferratelle, do try them. Renowned butcher run by a three generations by the De Paulis family. 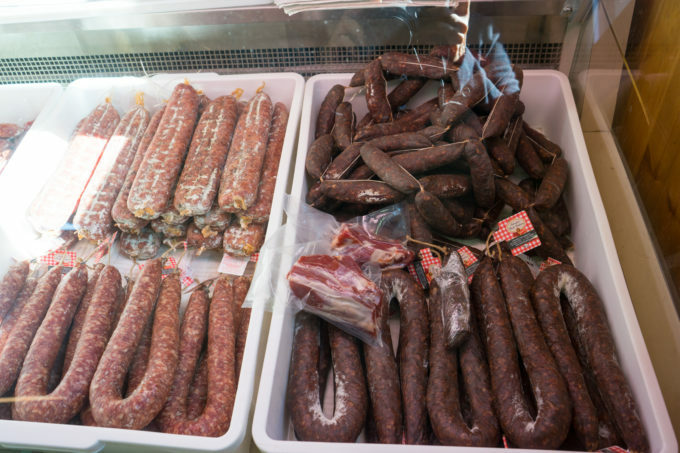 They use traditional methods to make some of the best local salumi such as culatello (Cuore di Paganica), prosciutto flavoured with pepper and aged for 6 months, capocollo bathed in Montepulciano d’Abruzzo wine, liver salami flavoured with mountain honey (fegato di Paganica) and liver sausage (salsiccia di fegato aquilana). Thanks Sam. I am glad you enjoyed it. Definitely worth a visit. You can see the quality of the ingredients that go in and the passion behind their products. I did not know you could buy it on Amazon though so thanks for the tip!